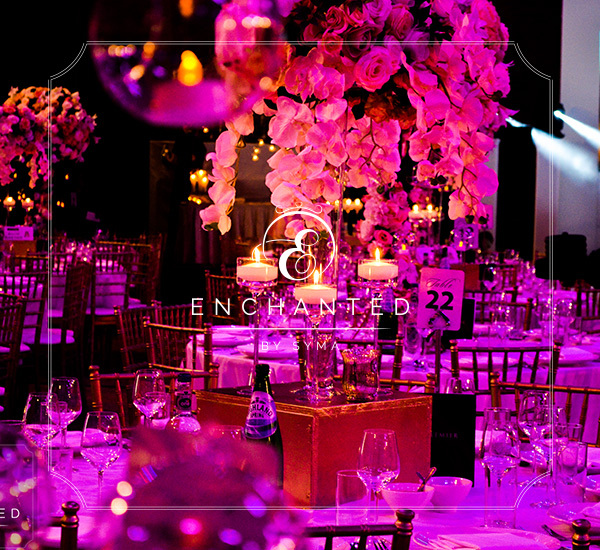 Sometimes it’s difficult to visualise the look or theme of your wedding. 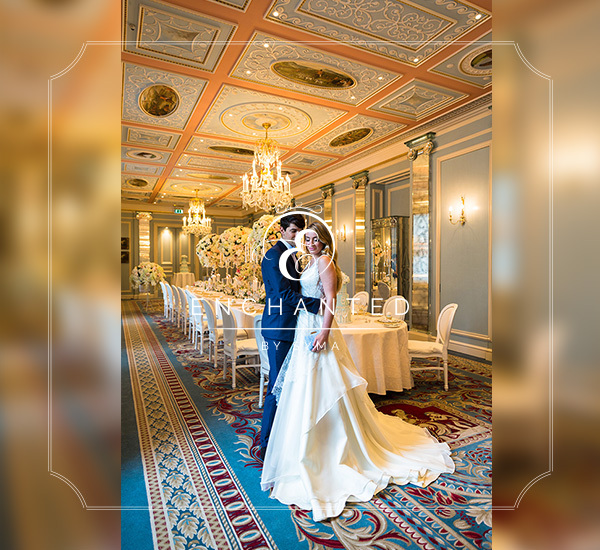 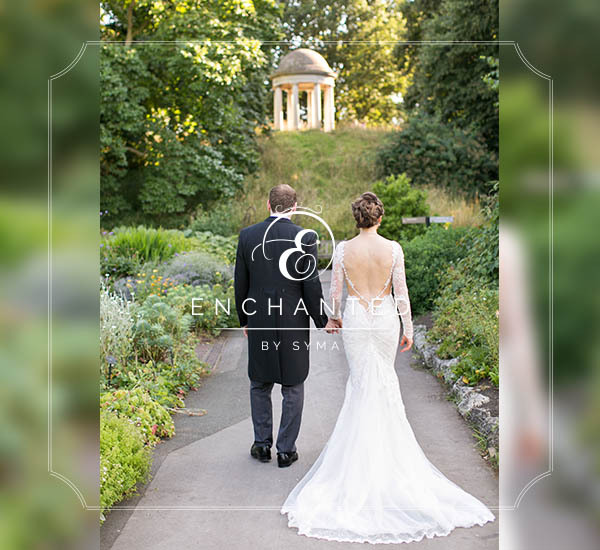 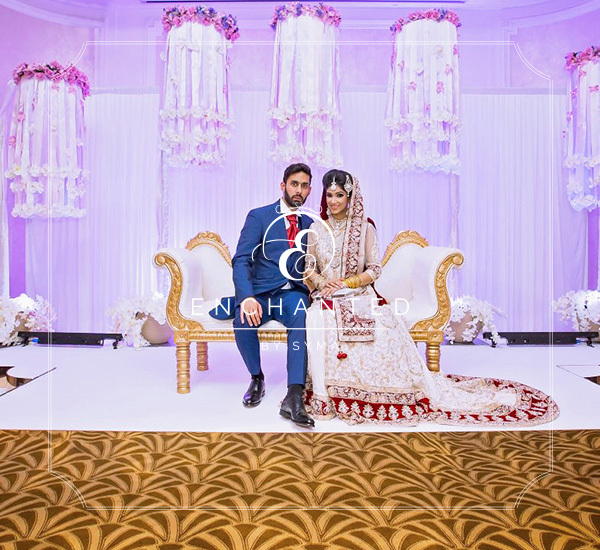 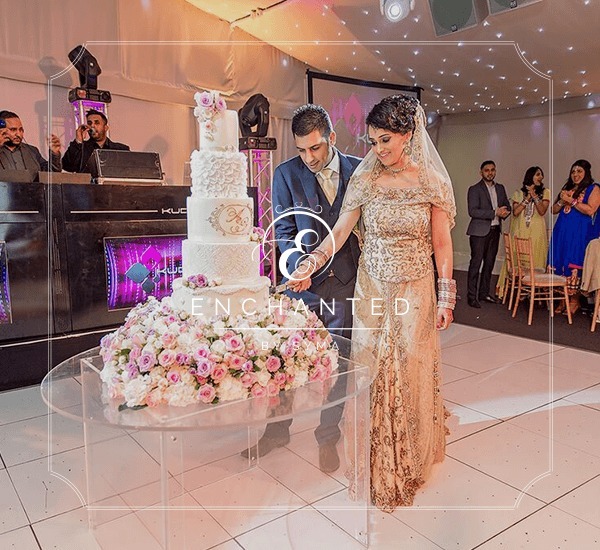 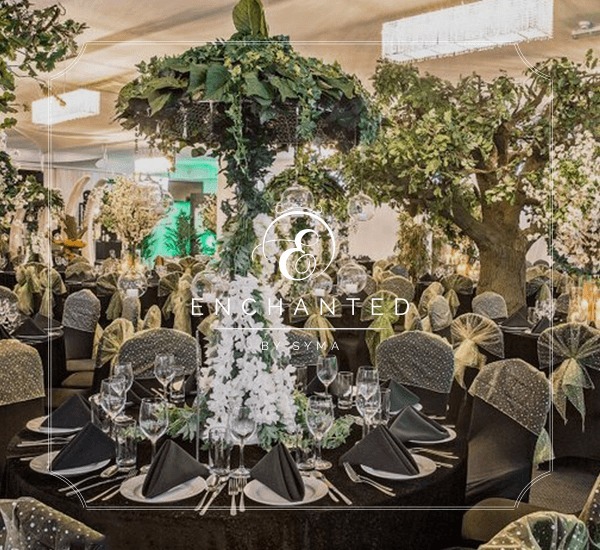 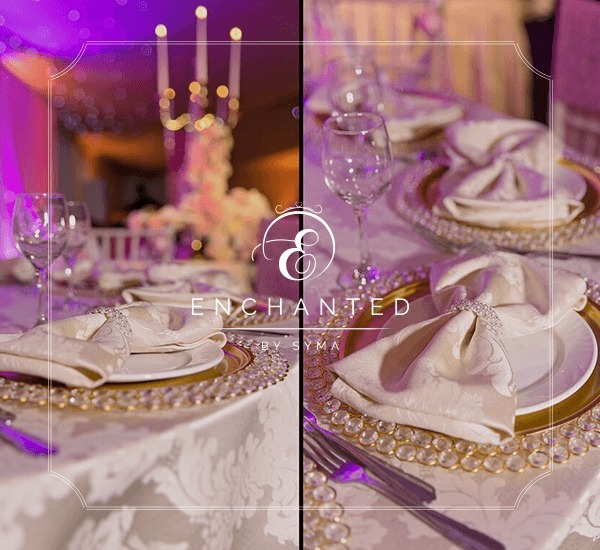 Take a look at some examples from our real couple weddings, from simple & elegant to bold and luxurious designs. 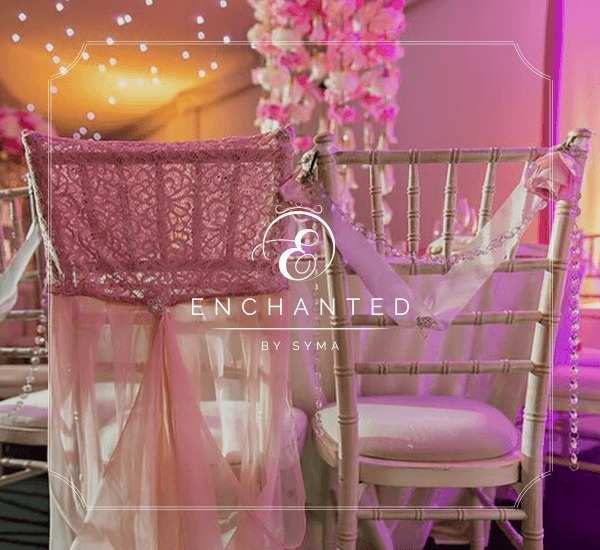 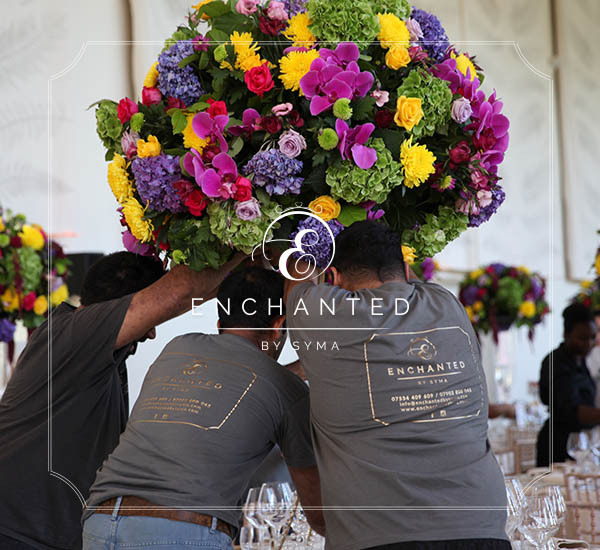 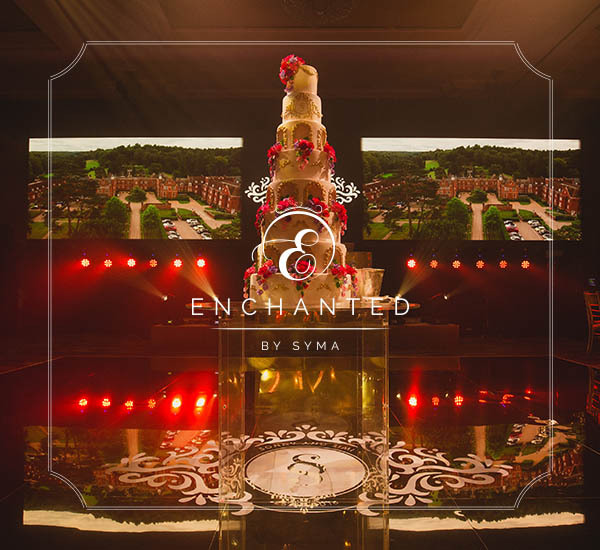 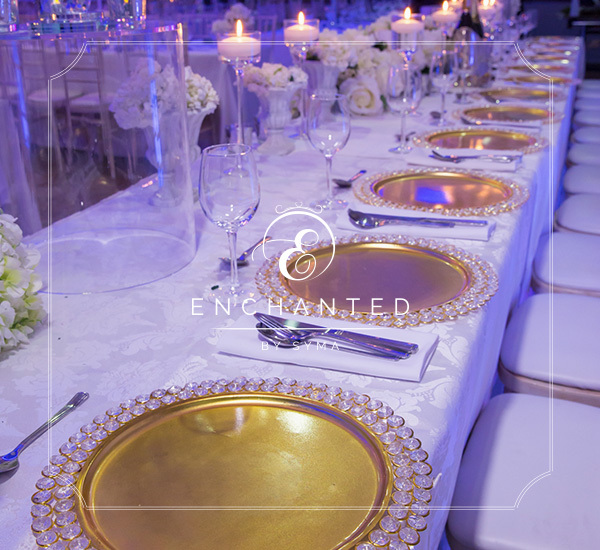 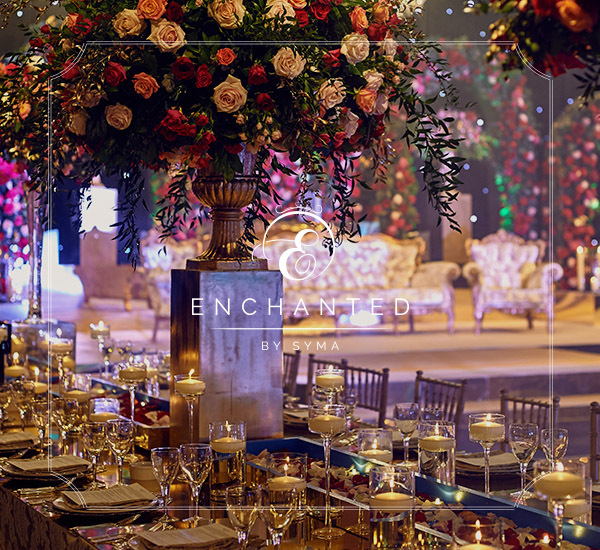 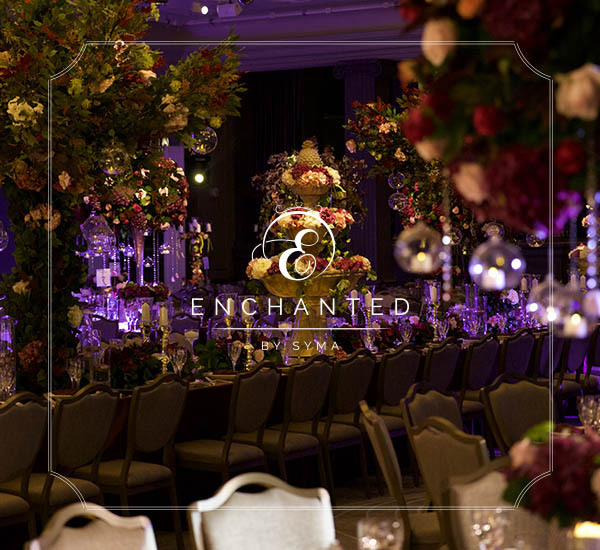 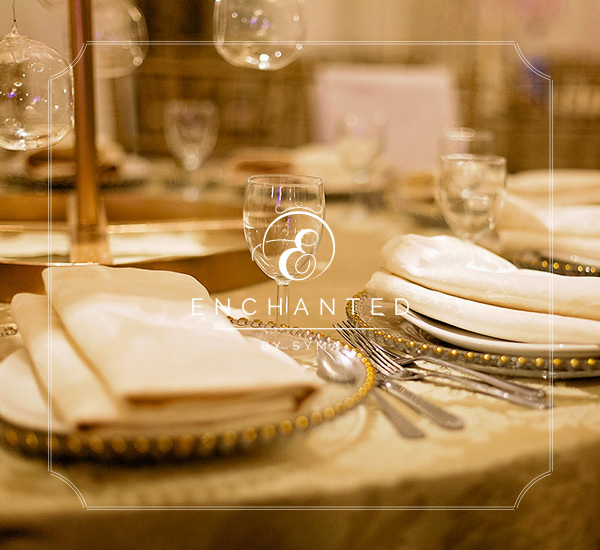 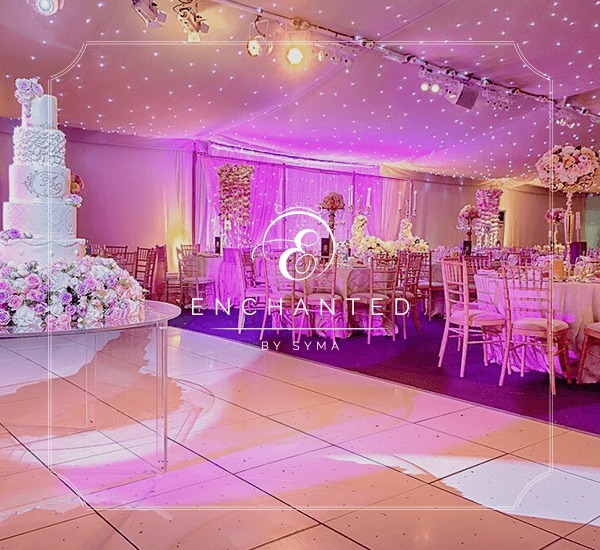 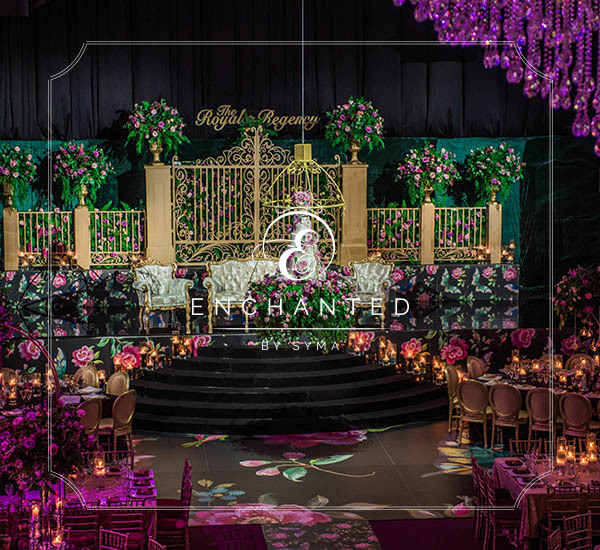 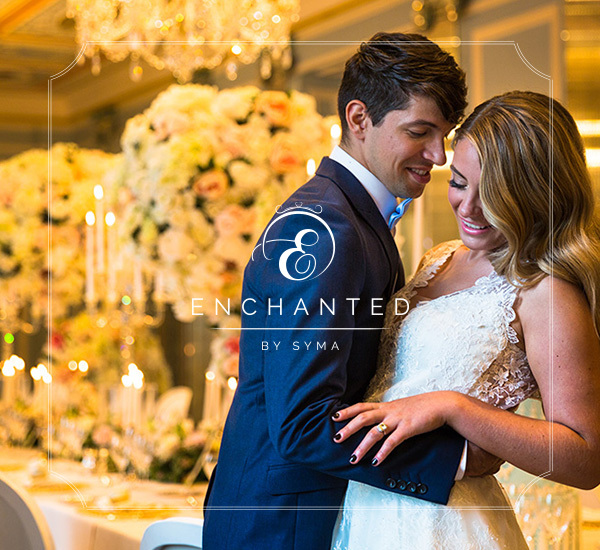 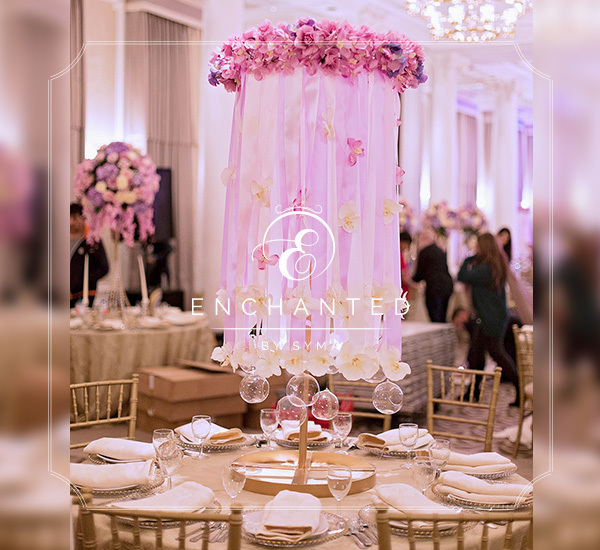 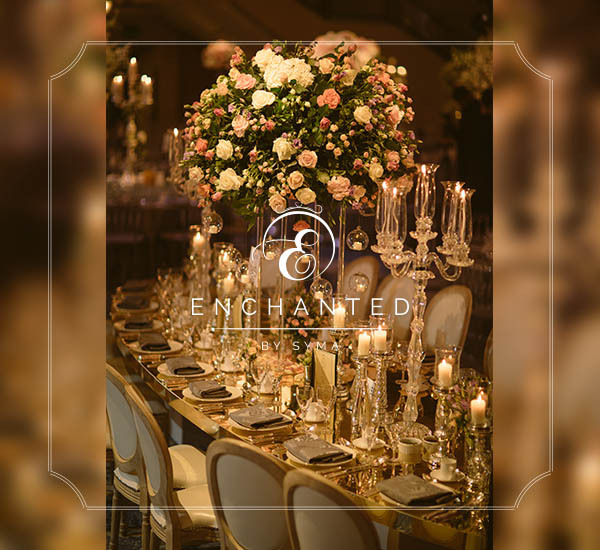 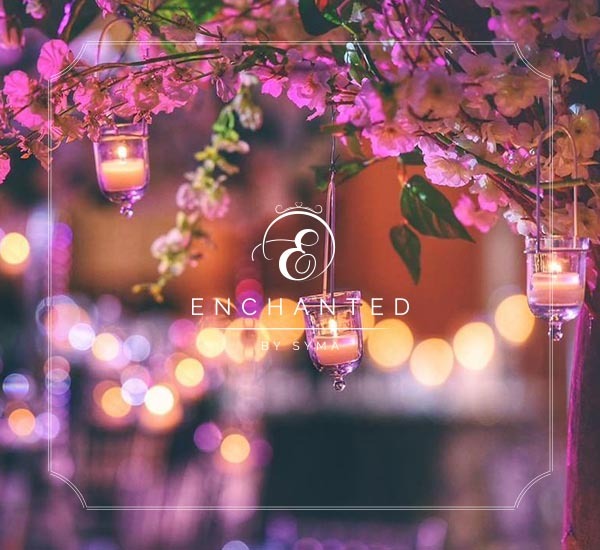 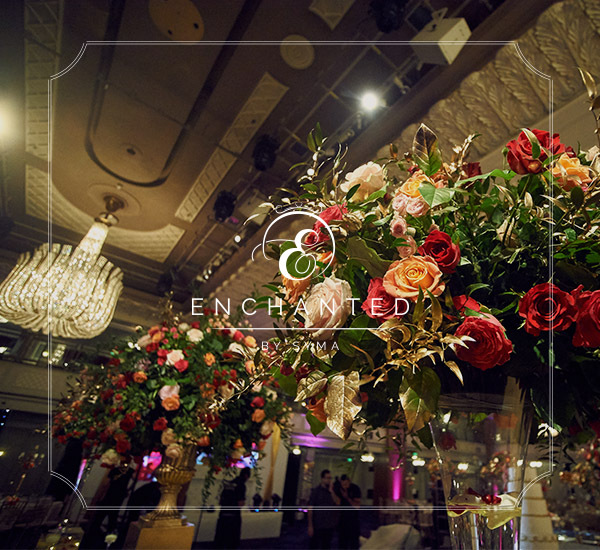 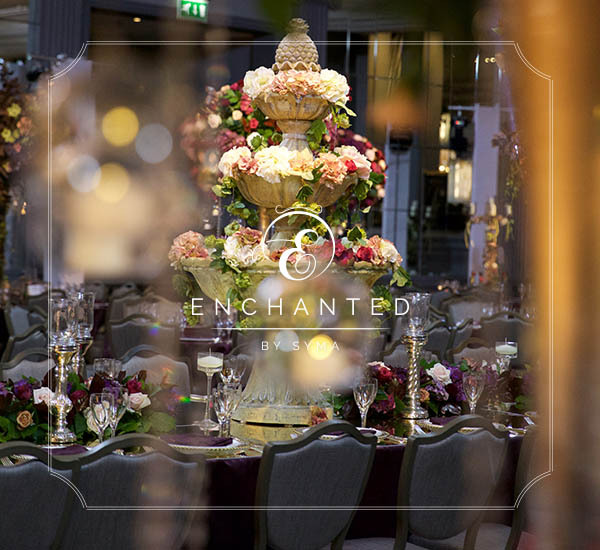 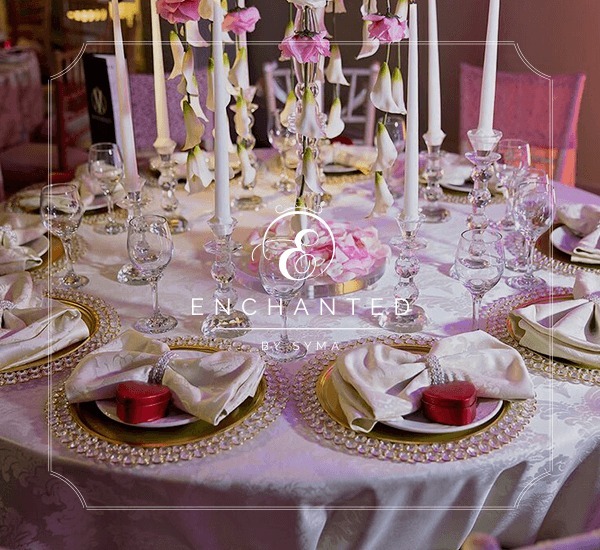 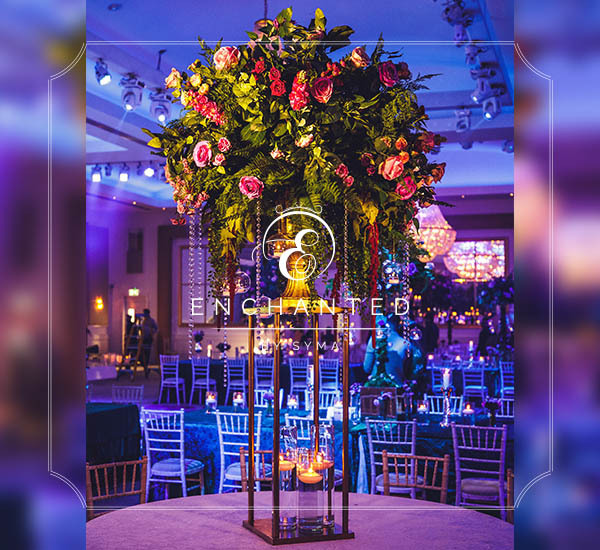 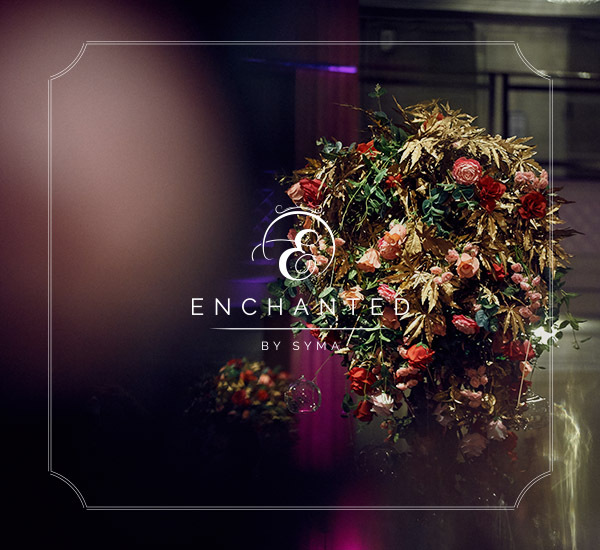 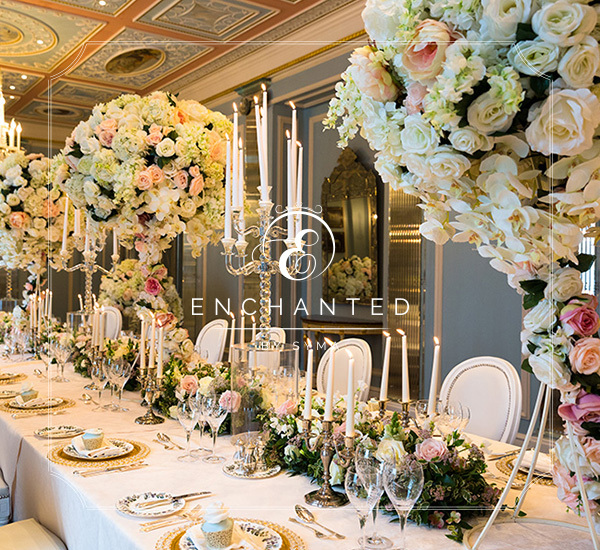 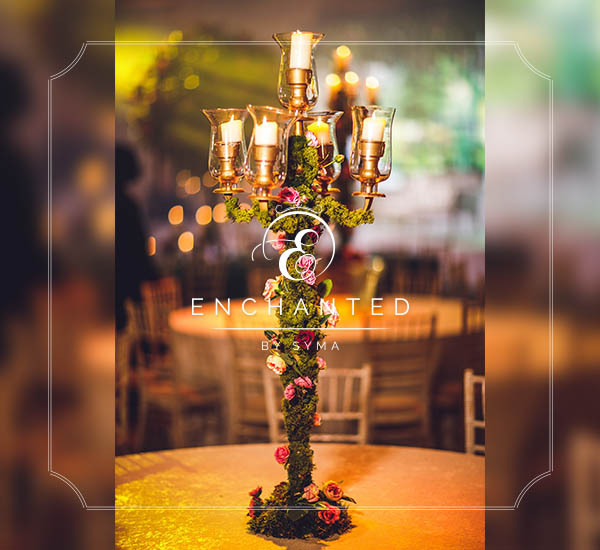 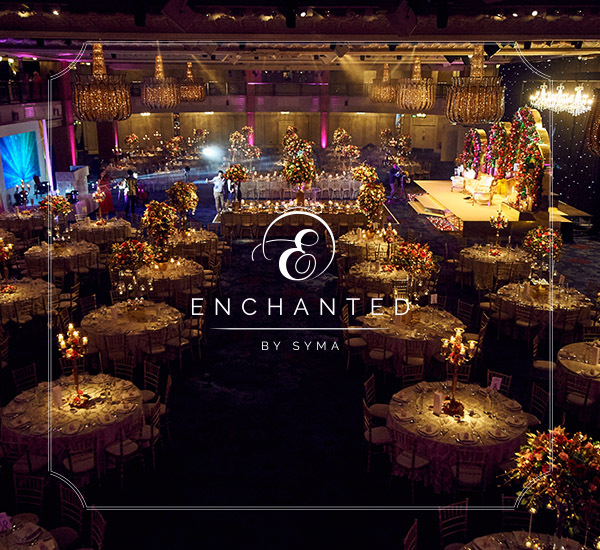 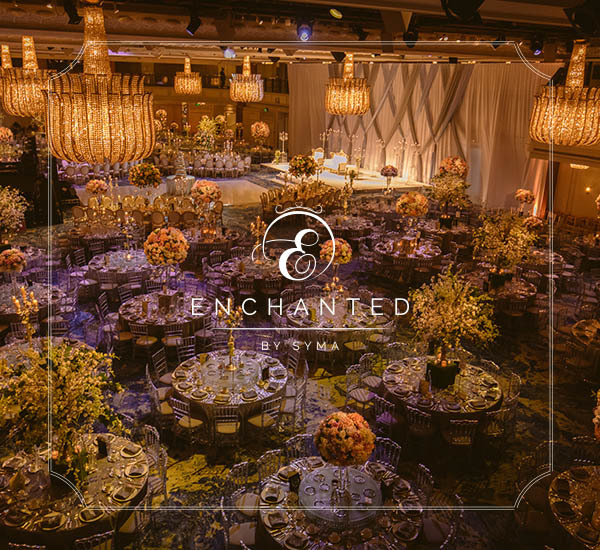 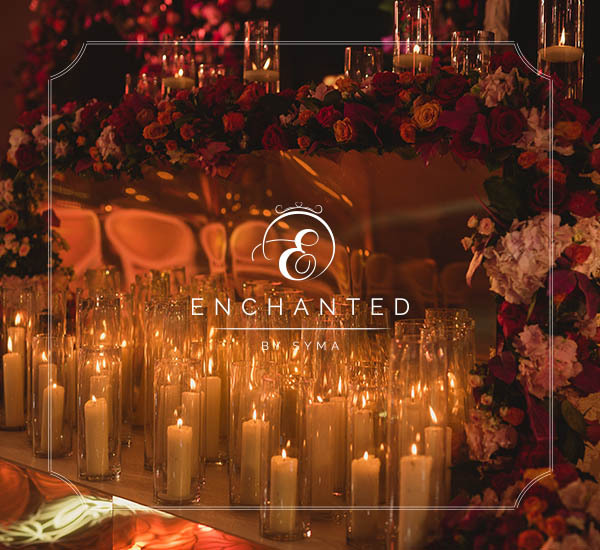 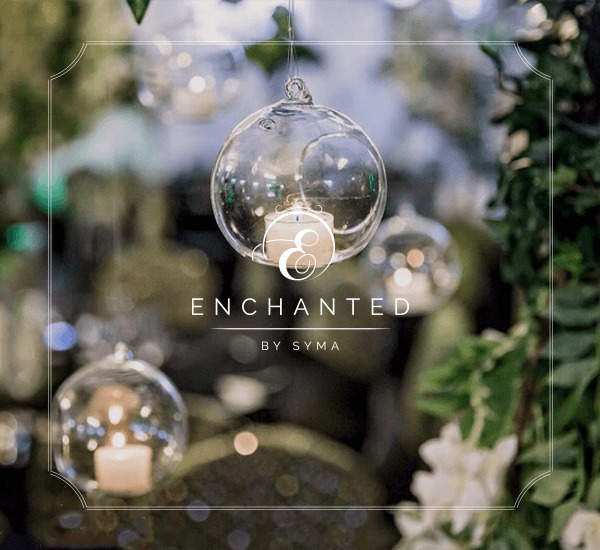 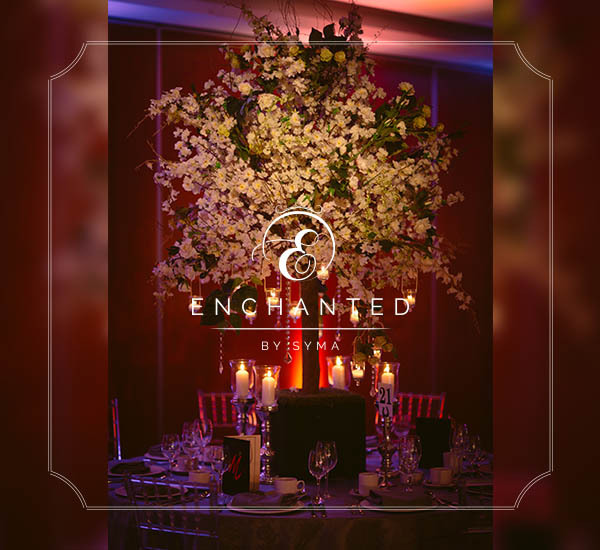 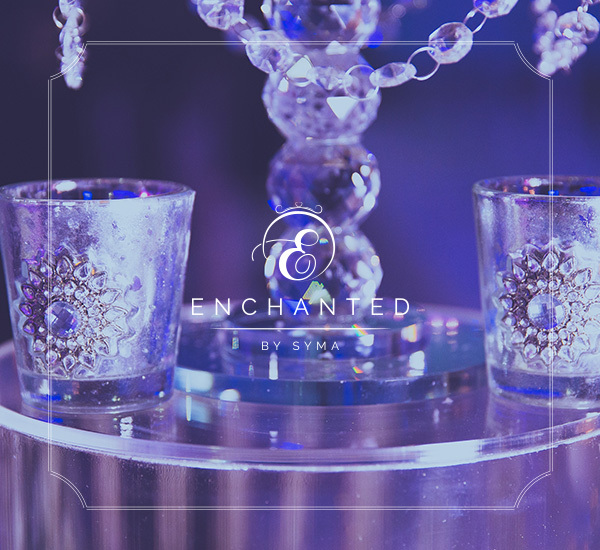 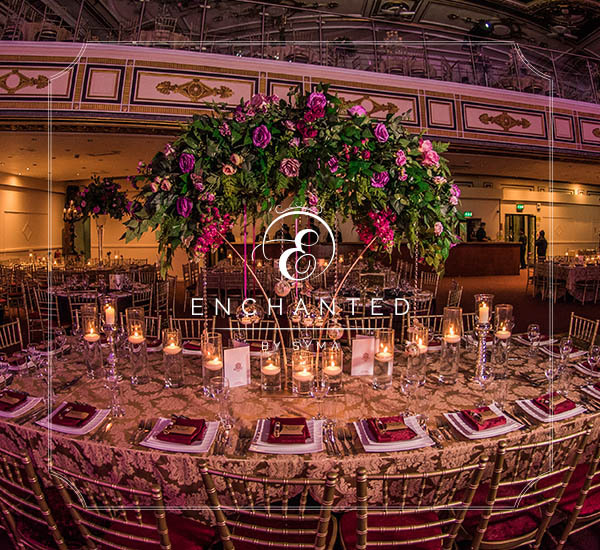 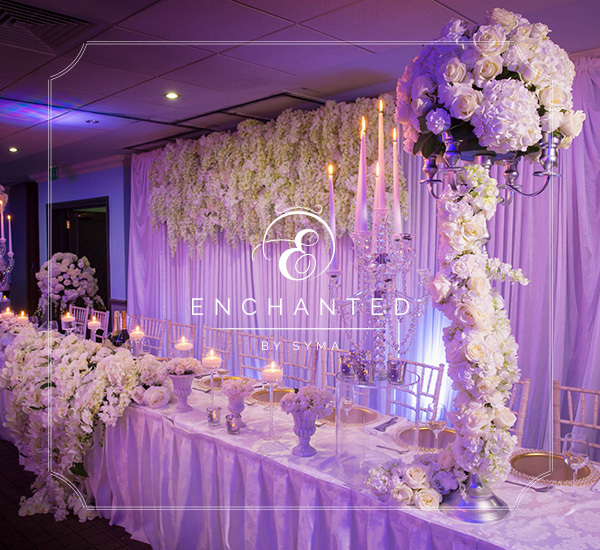 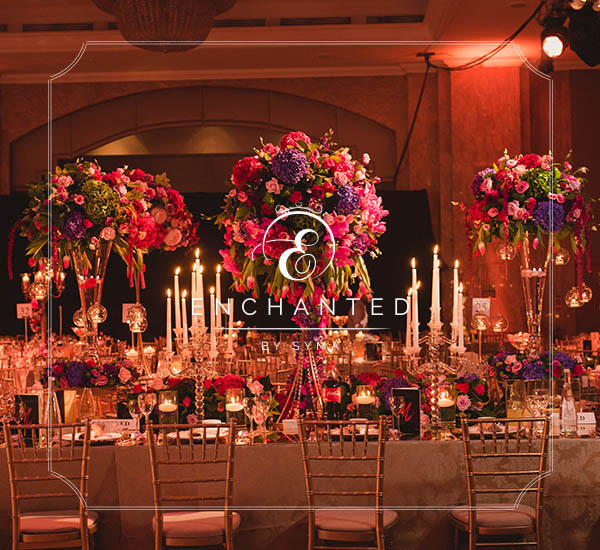 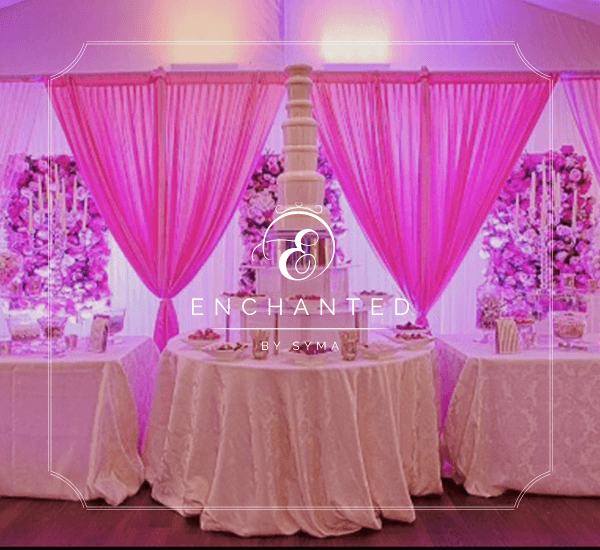 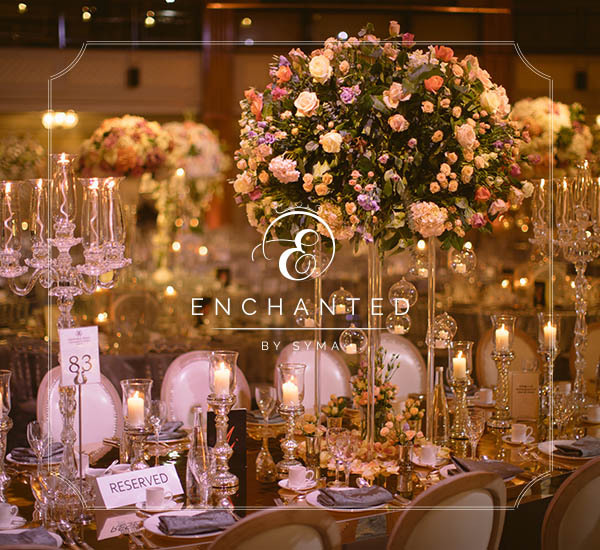 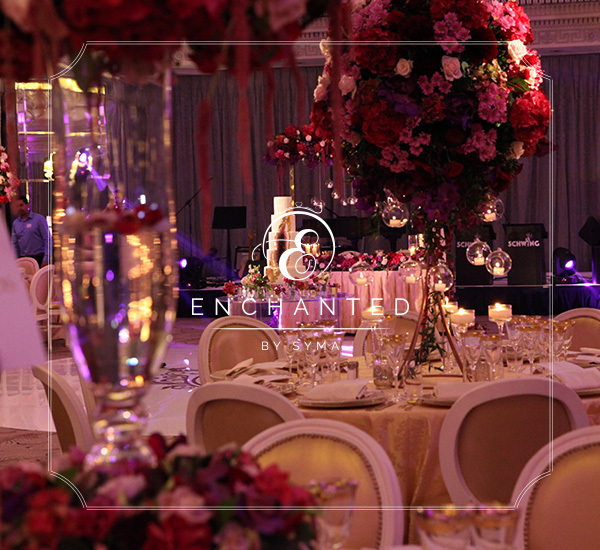 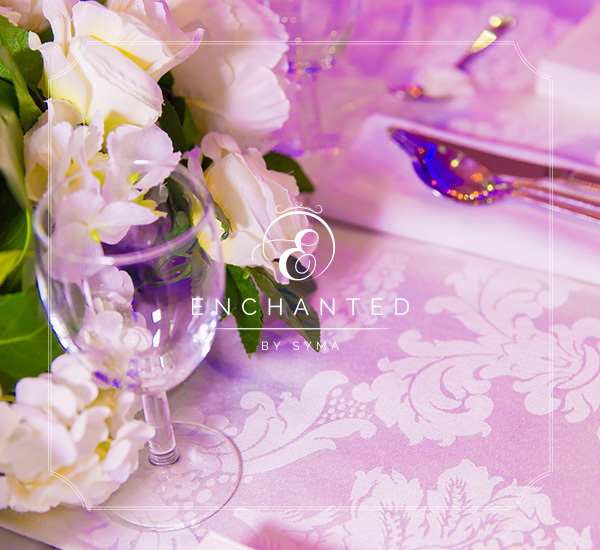 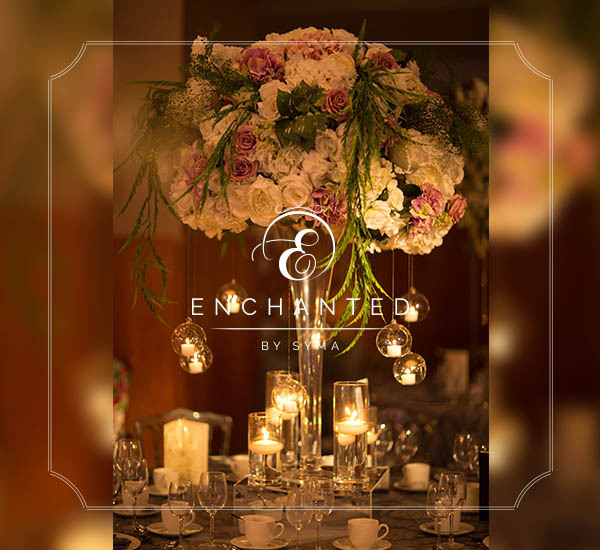 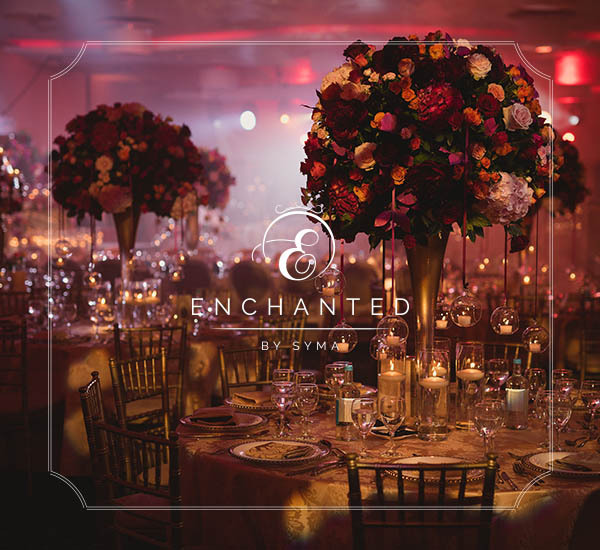 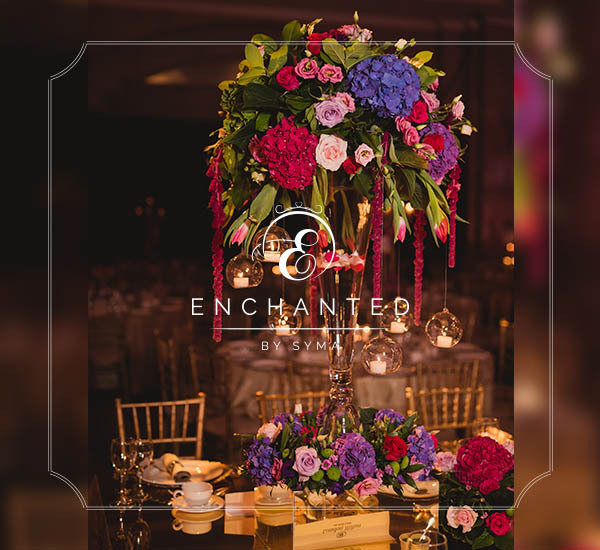 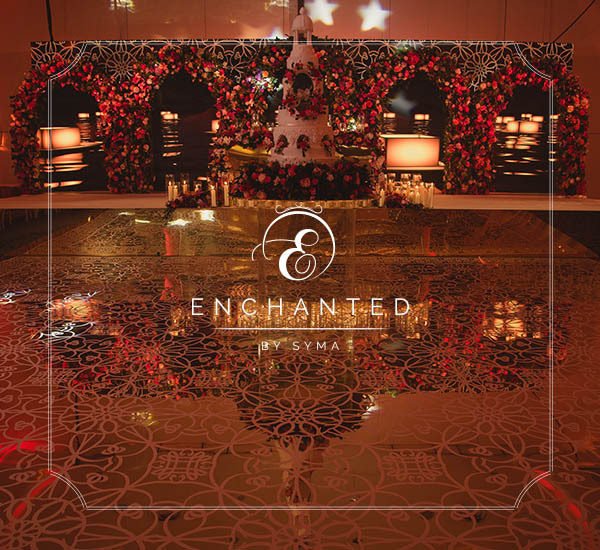 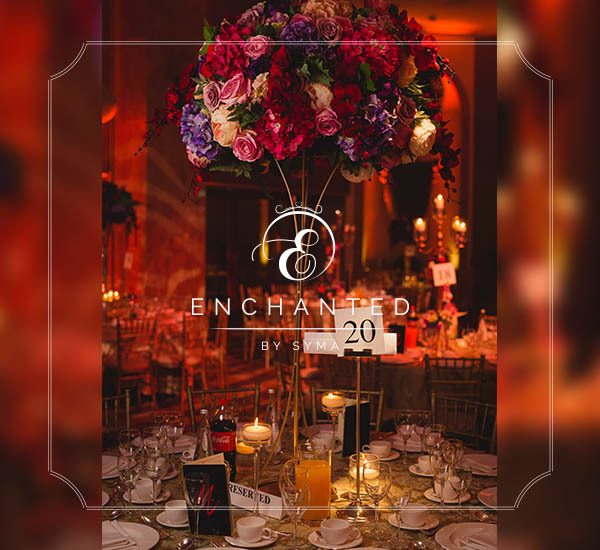 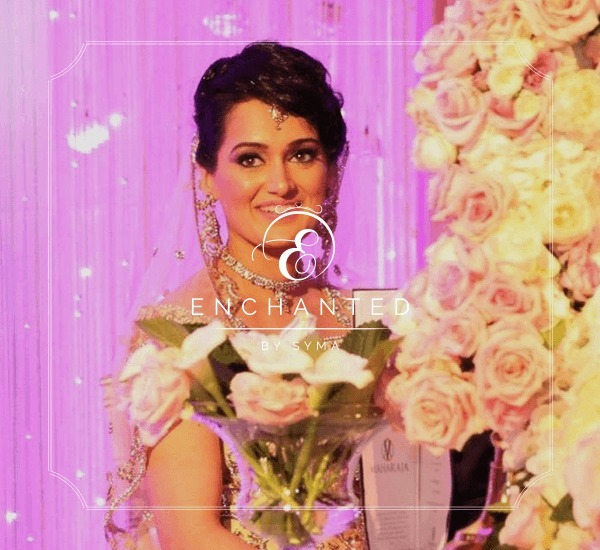 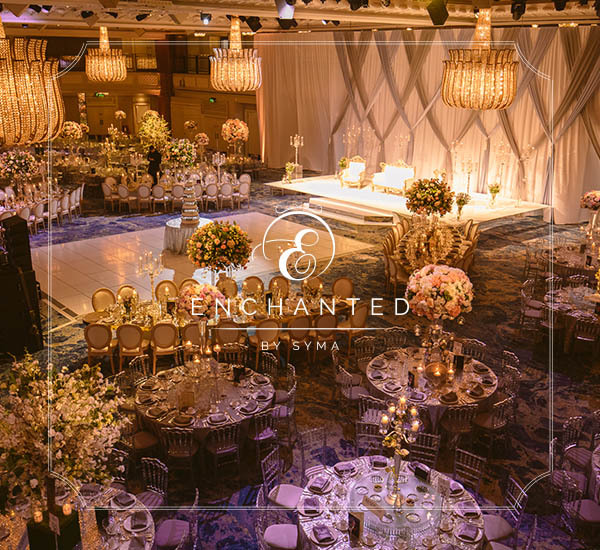 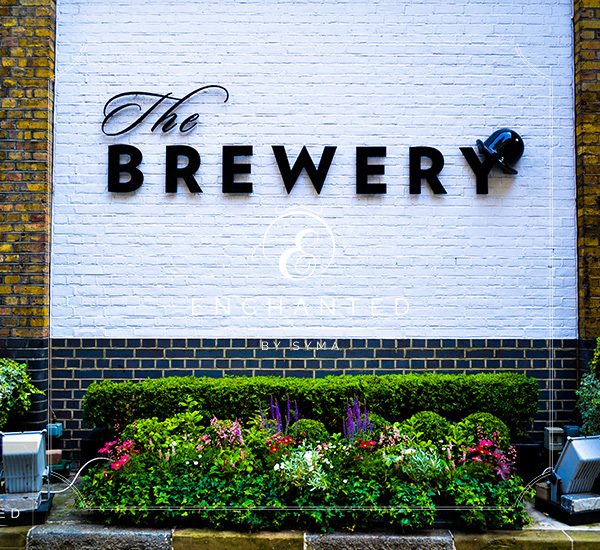 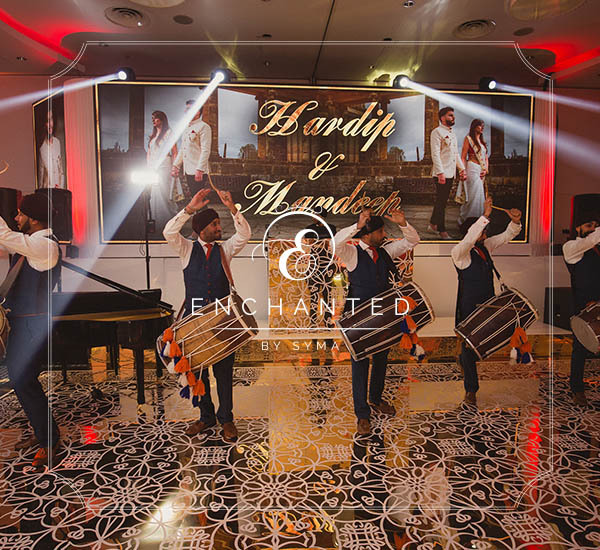 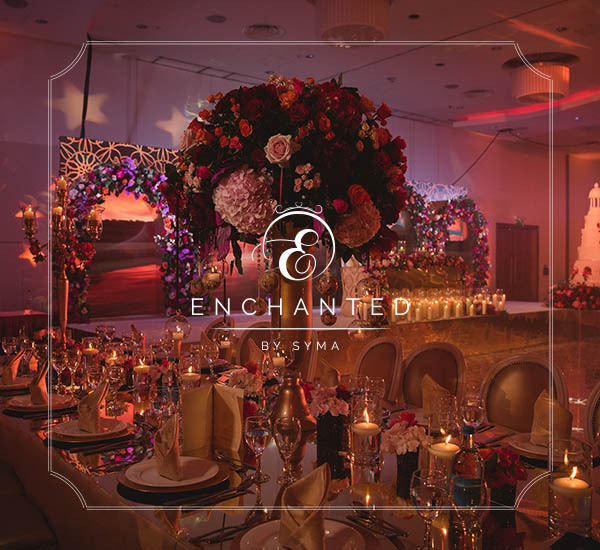 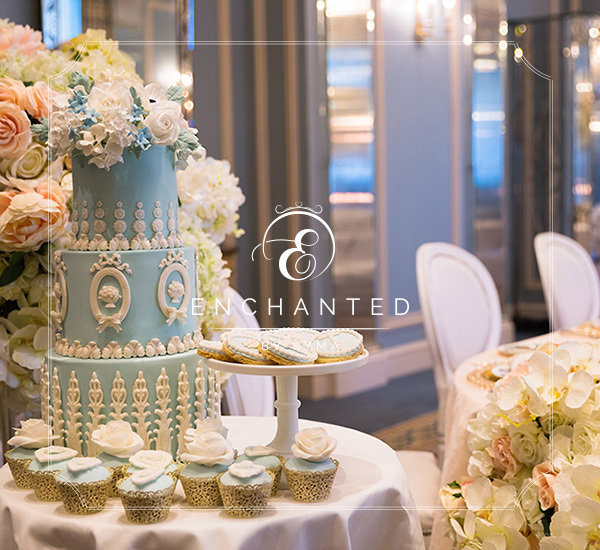 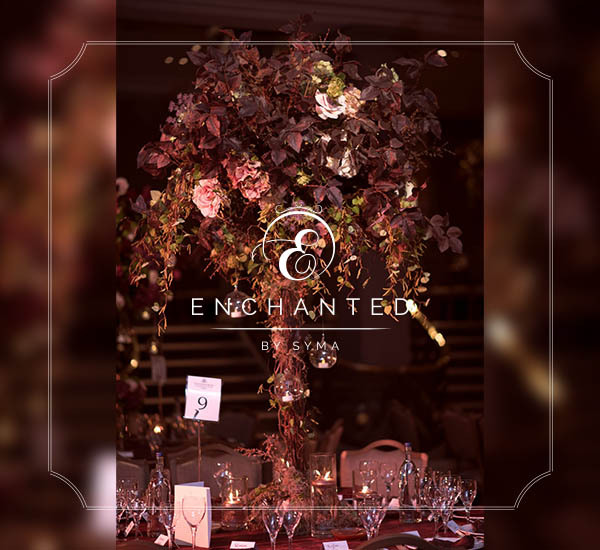 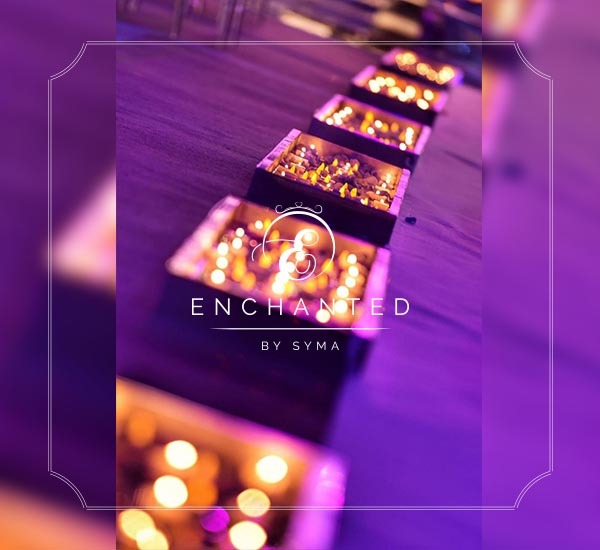 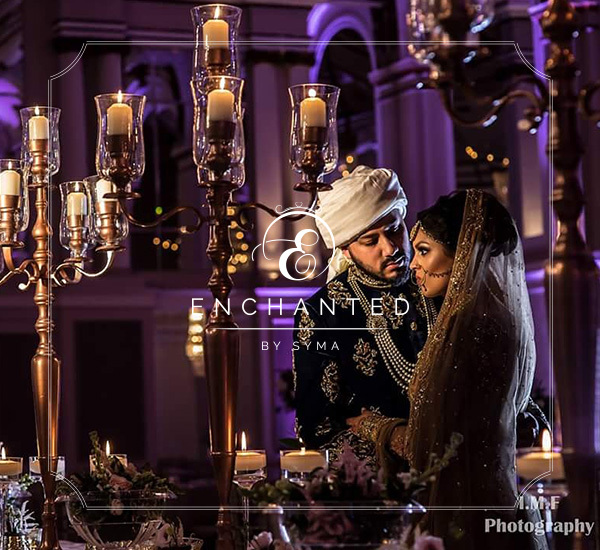 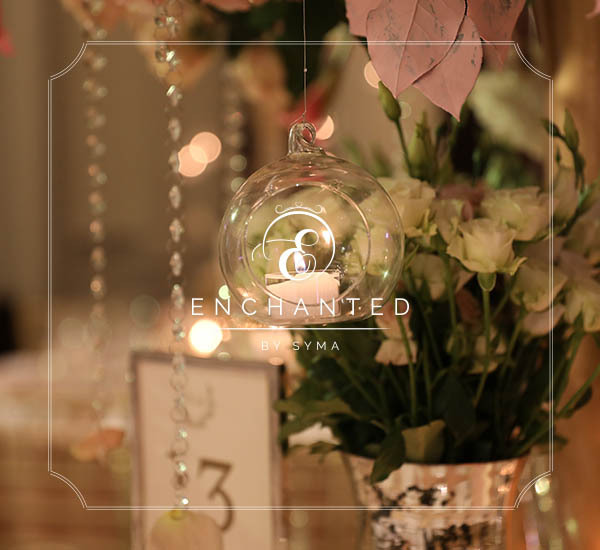 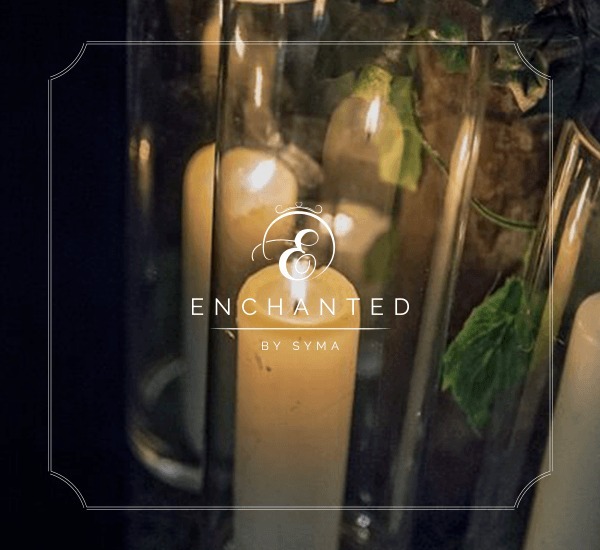 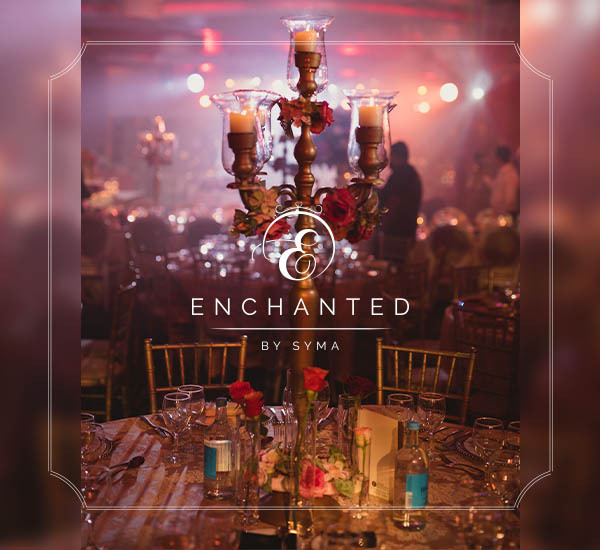 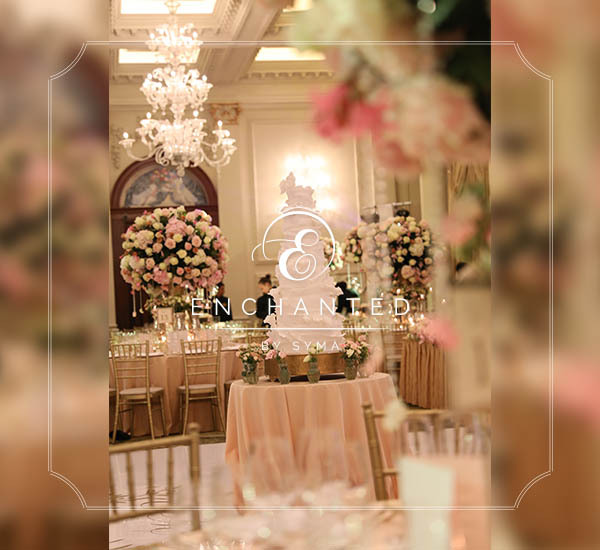 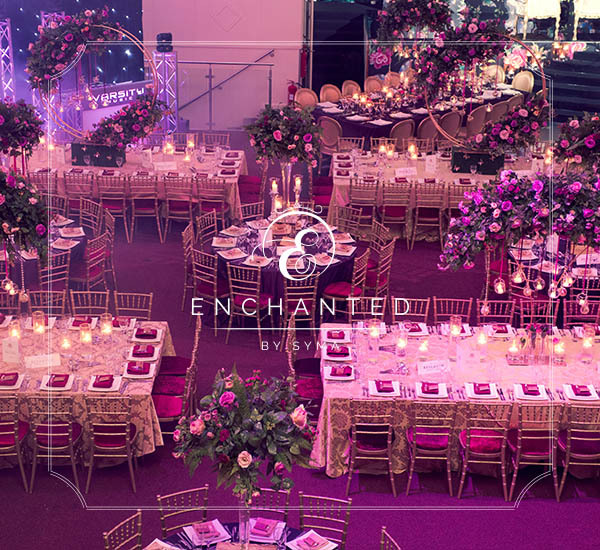 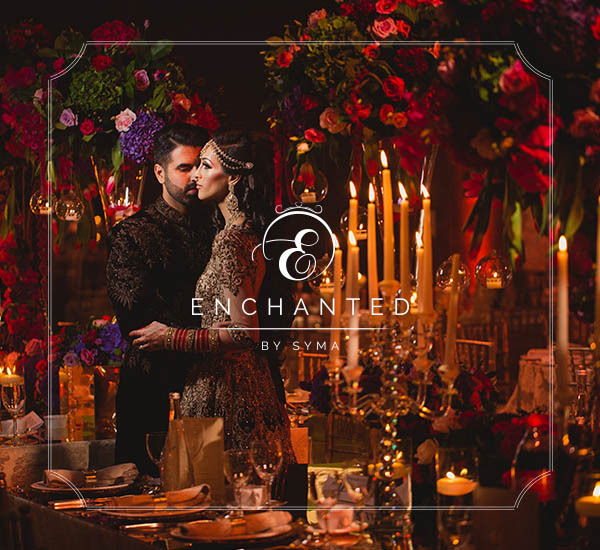 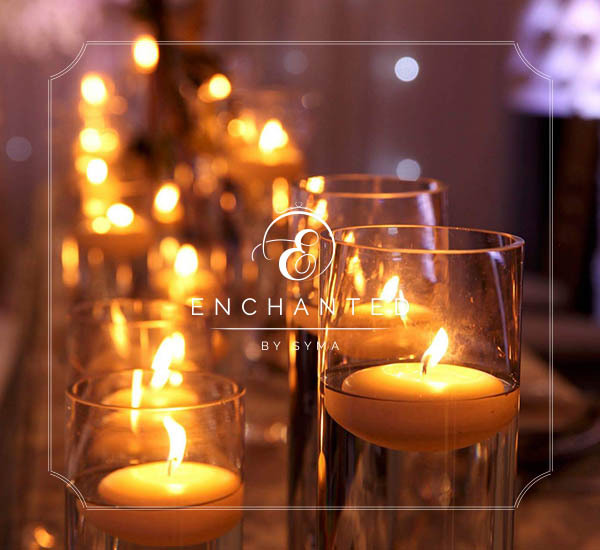 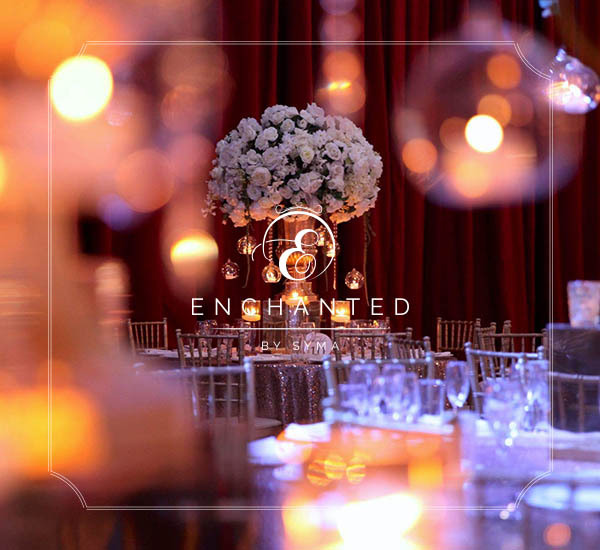 Enchanted love creating a story behind each wedding & we are always full of ideas & designs for the most important day of your life! 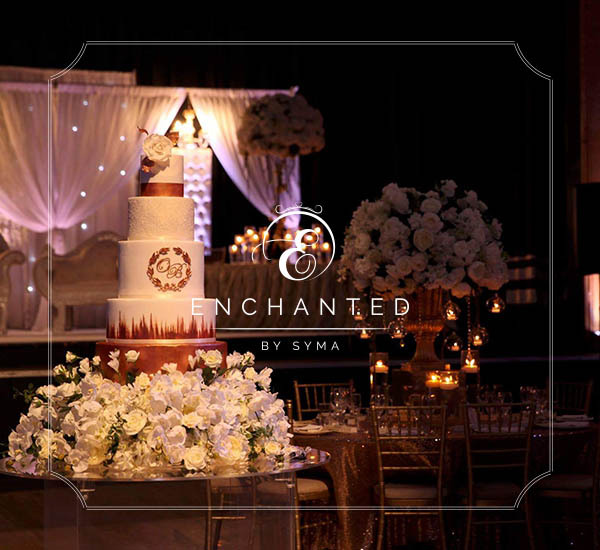 Close your eyes, make a wish, open your eyes live the dream! 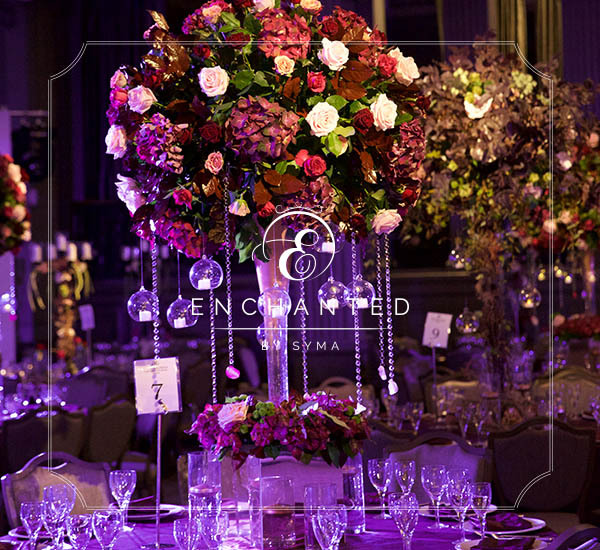 A mix of rich & luxurious colours combined together, what could be more divine than this! 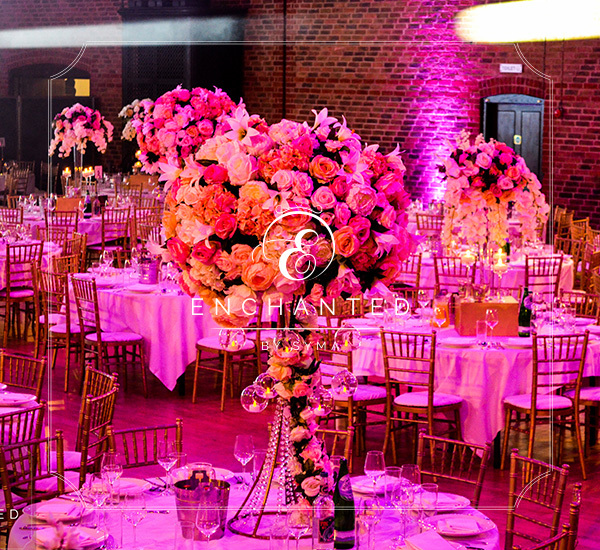 Setting the trends with this stylish look, creating a world of colours together! 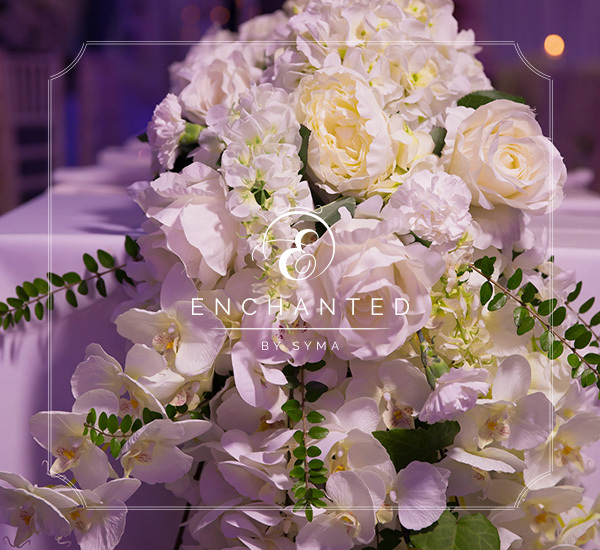 Where the sound of water is music to the ears, where the fragrance of flowers is so fresh, this is where their love story began! 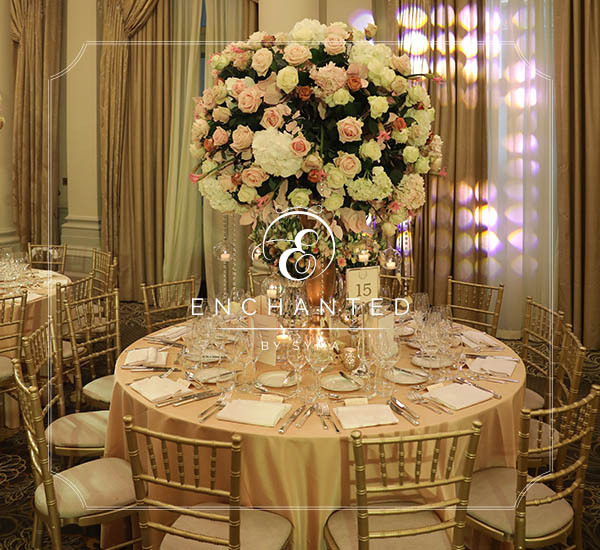 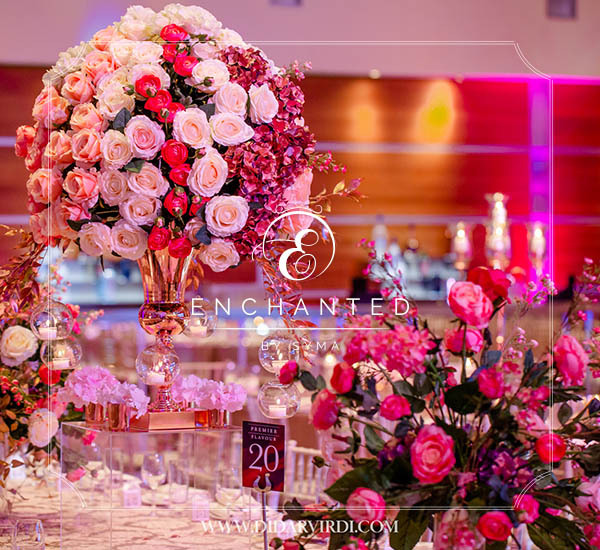 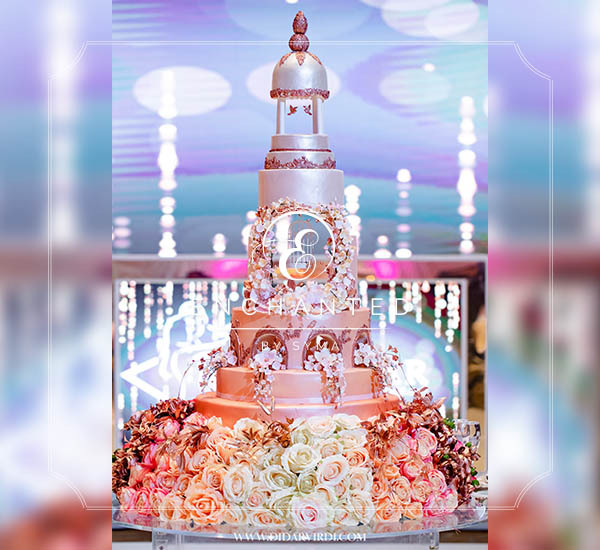 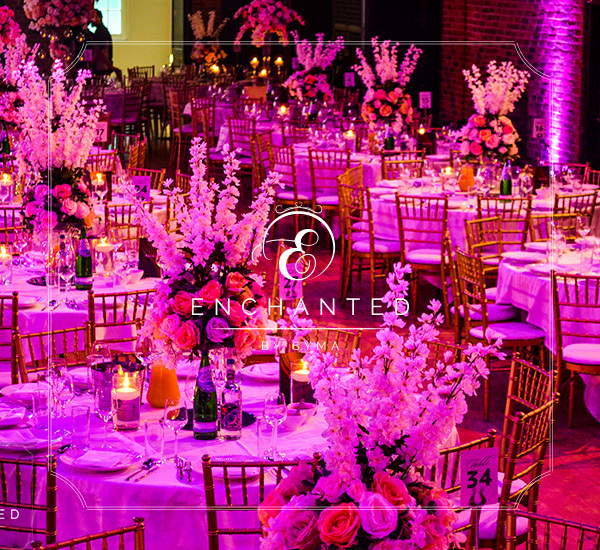 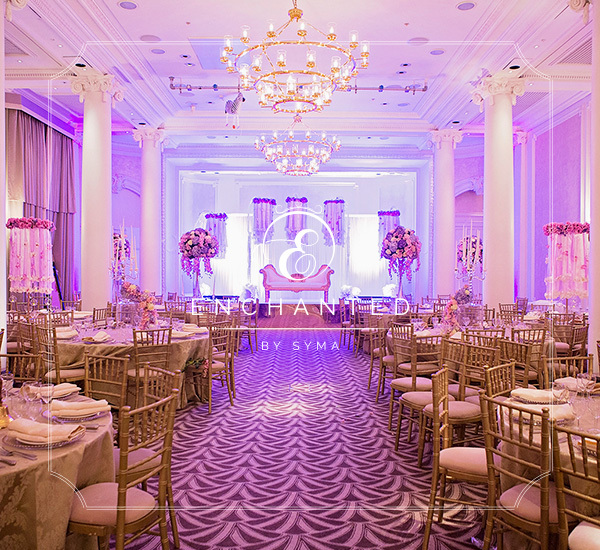 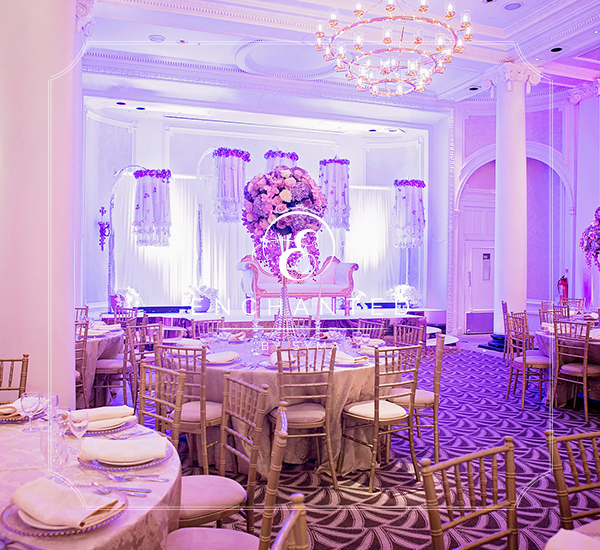 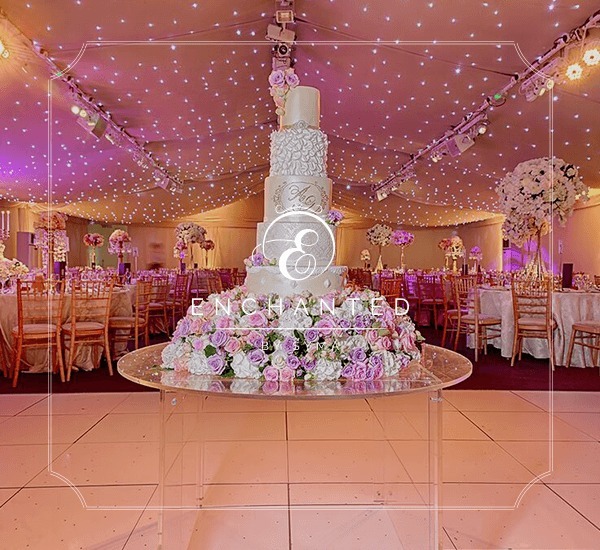 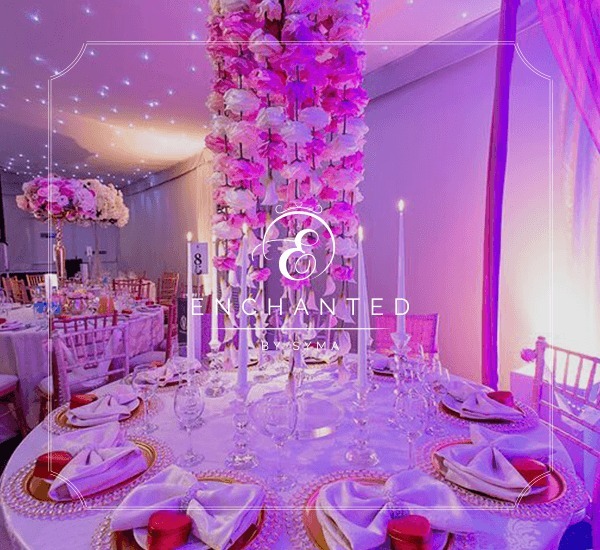 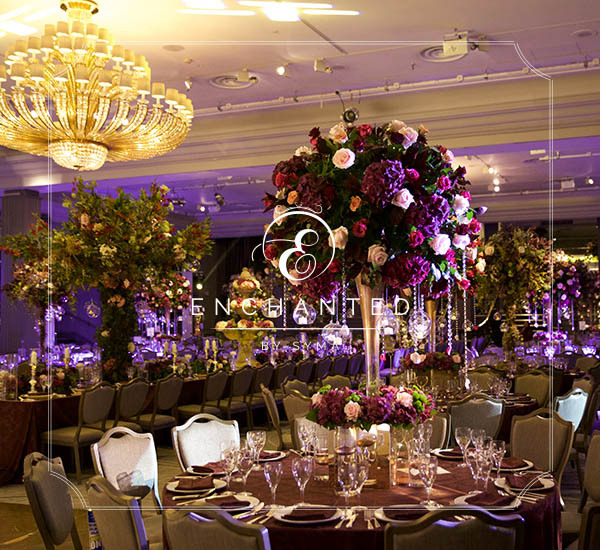 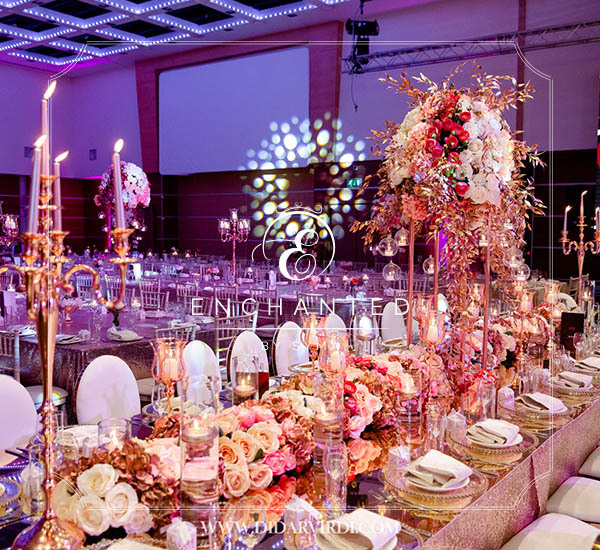 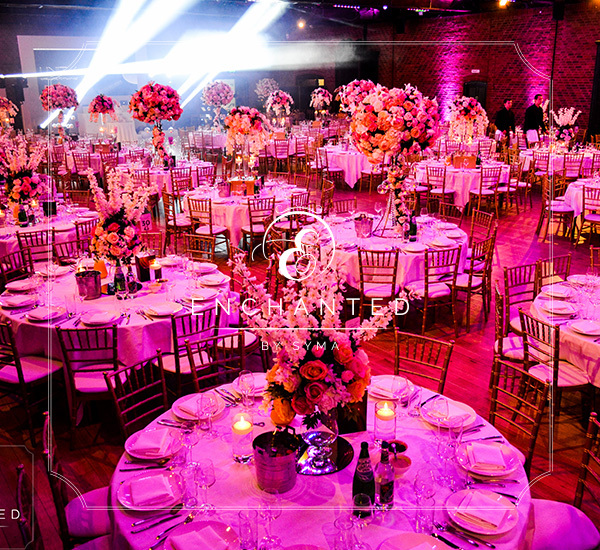 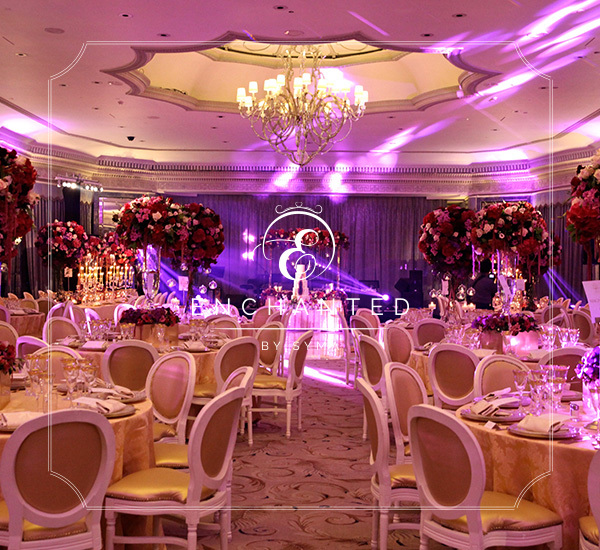 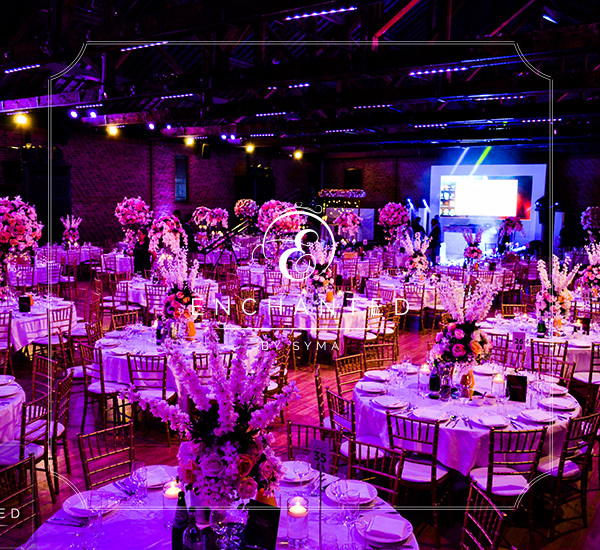 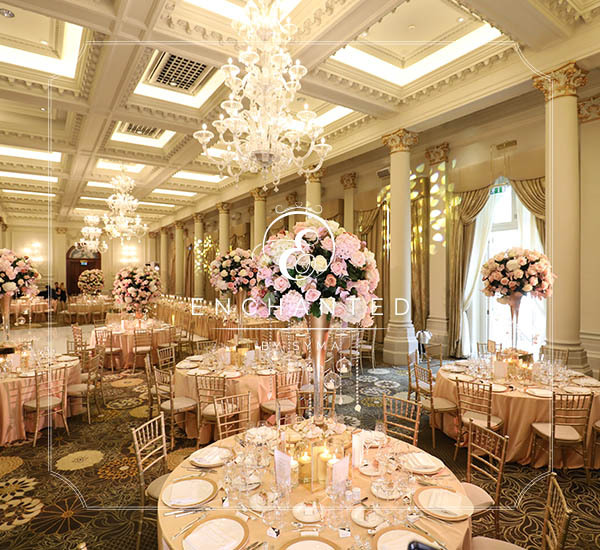 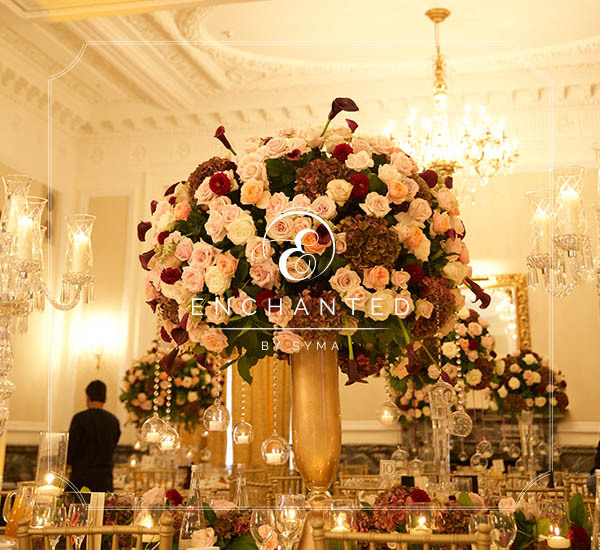 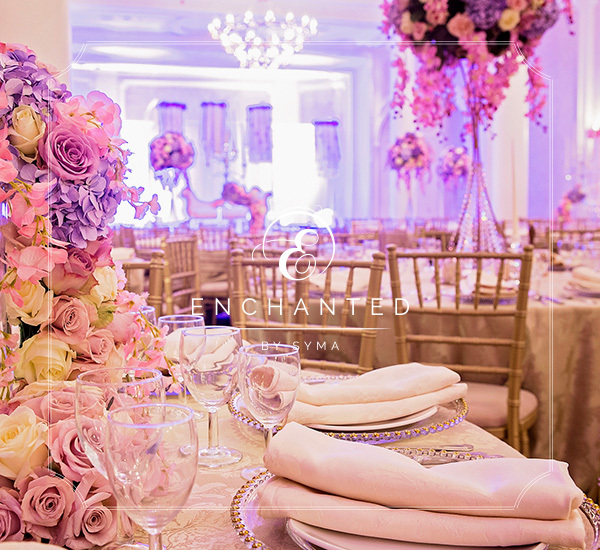 Gorgeous combination of blush colours, coming together and creating the unimaginable! 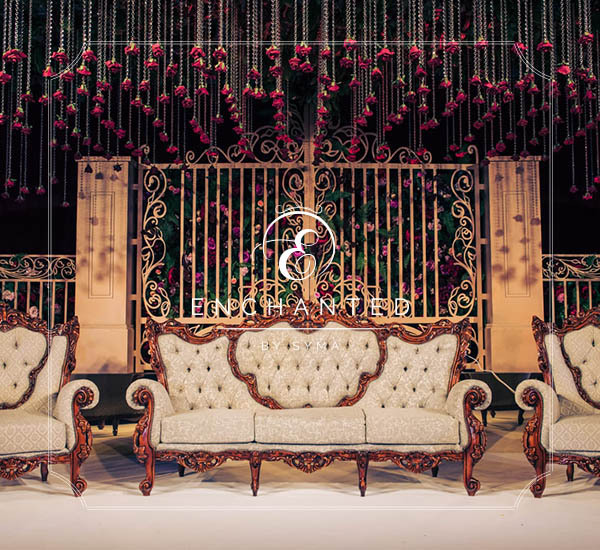 Trust in dreams, for in them is hidden the gate to eternity. 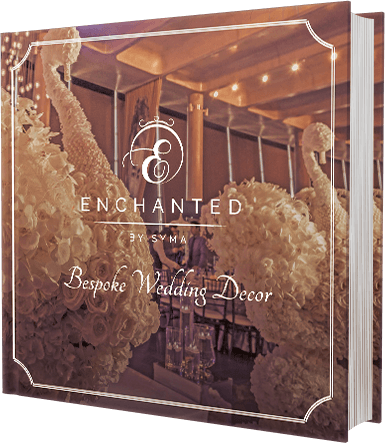 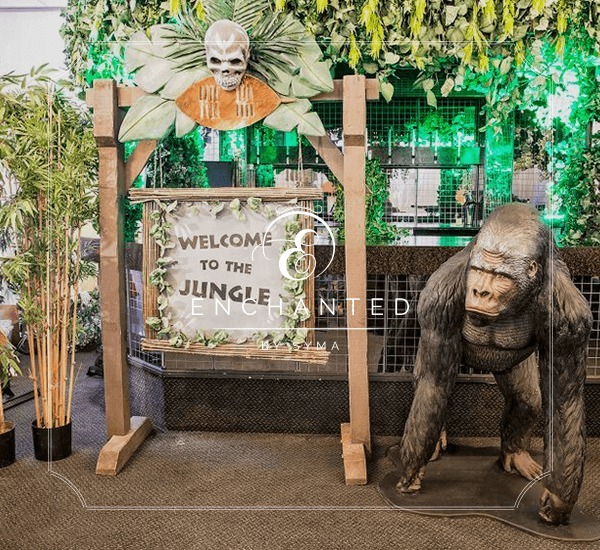 Most inspired and anticipated designs created by Enchanted! 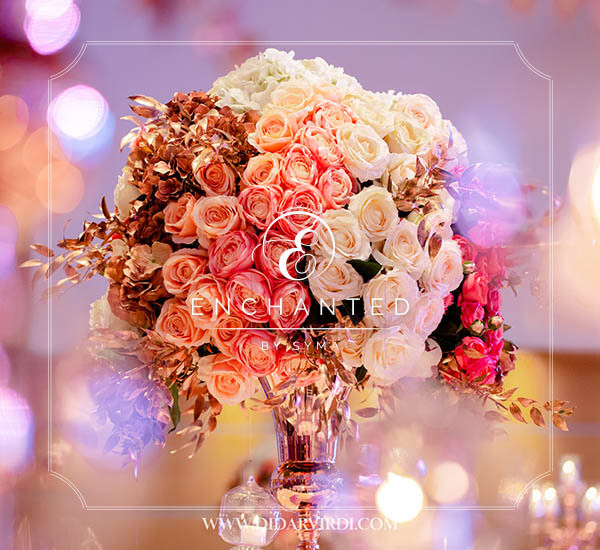 Where flowers bloom, so does love! 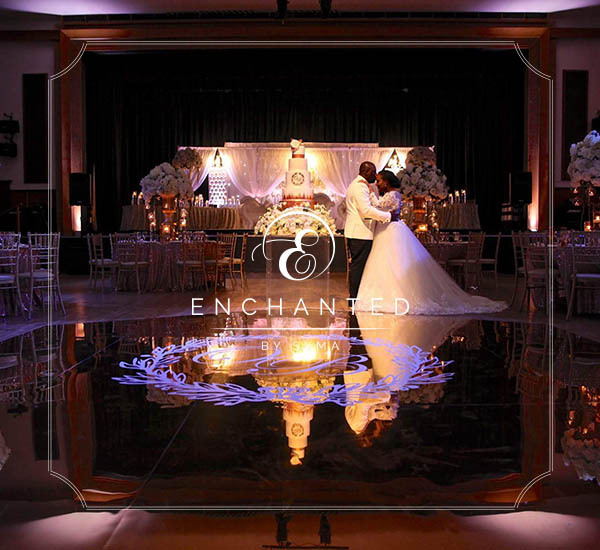 Once in while right in the middle of an ordinary life, love gives us a fairytale. 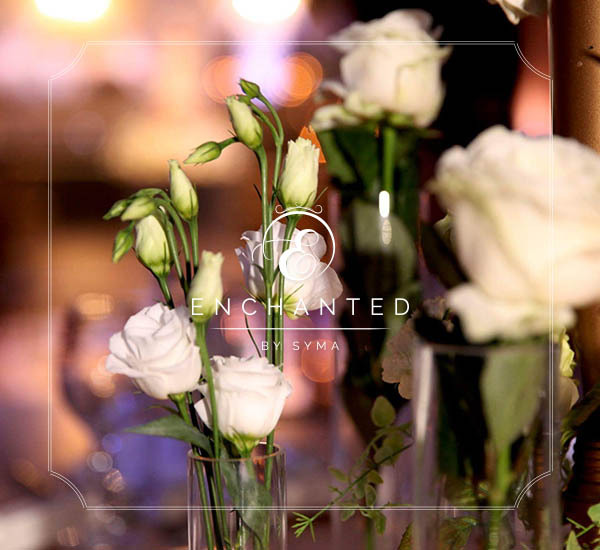 The second star to the right shines in the night for you, to tell you that the dreams you plan really can come true! 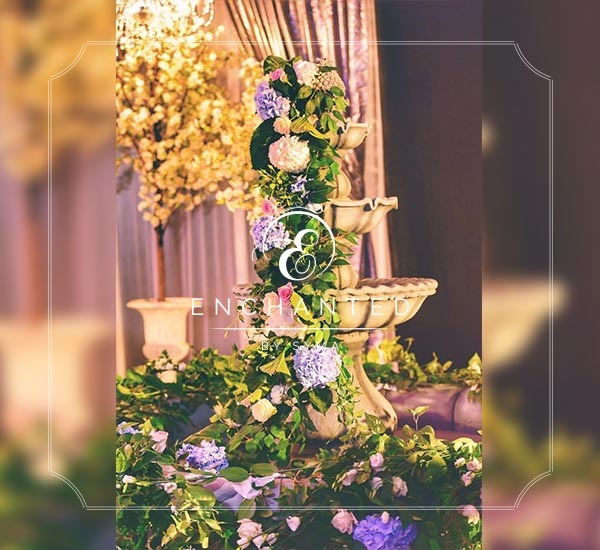 Another trend setting design for 2017, with real water fountains cascaded in elegant fresh flowers. 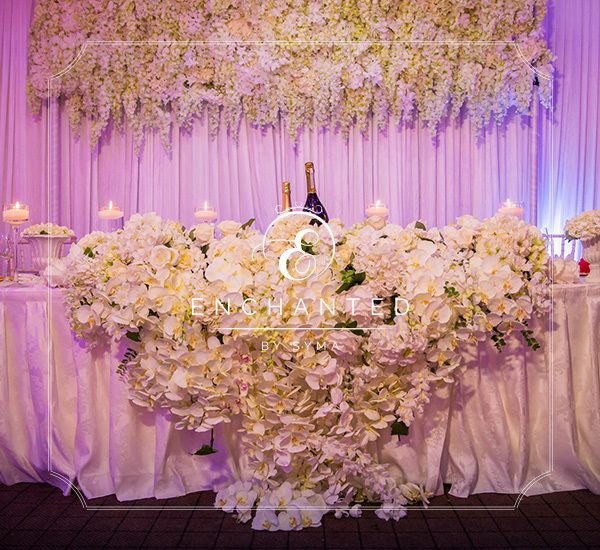 The tables shhowcased centrepieces that were unique waterfall floral displays. 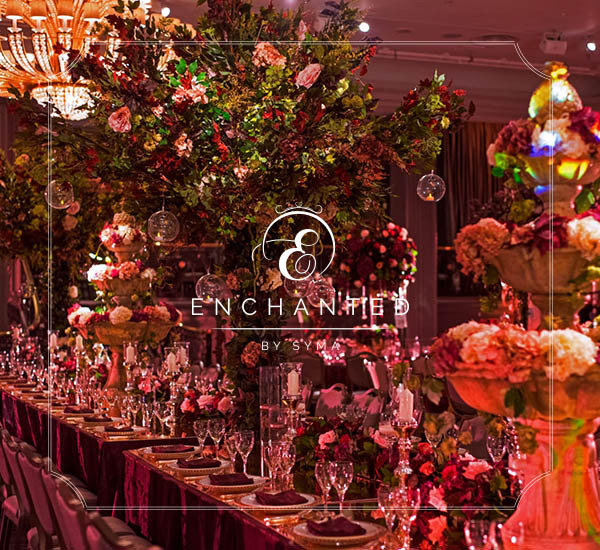 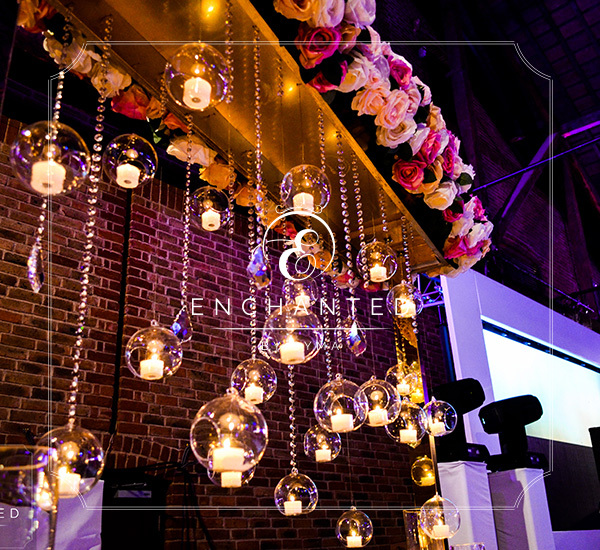 A romantic candle walkway display, ending with a striking stage setup with trees and sparkling chandeliers. 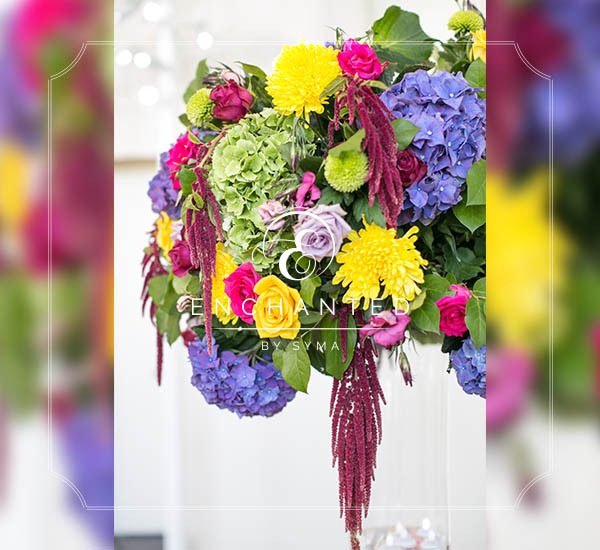 This full on flower power wedding look is defiantly not for the light hearted. 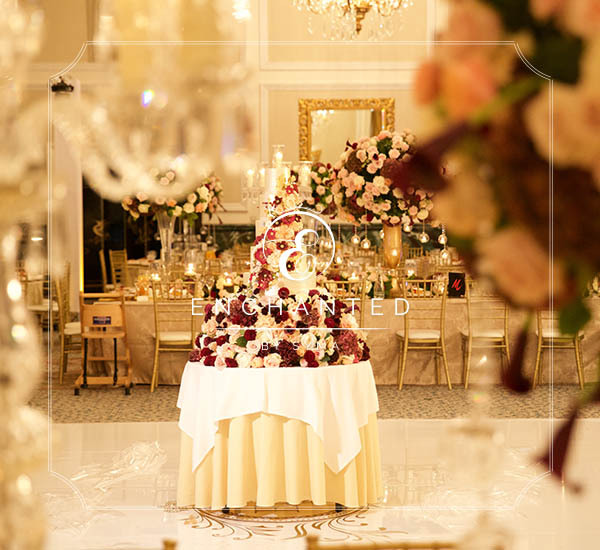 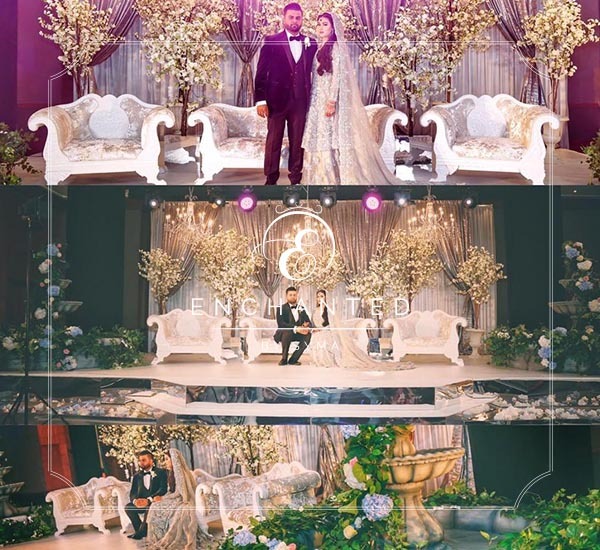 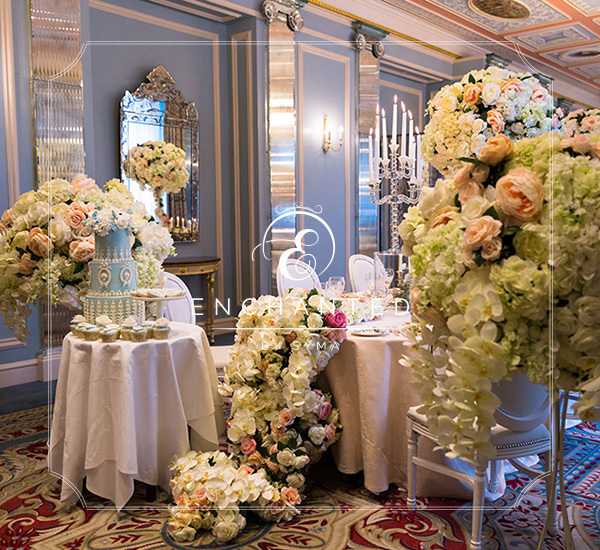 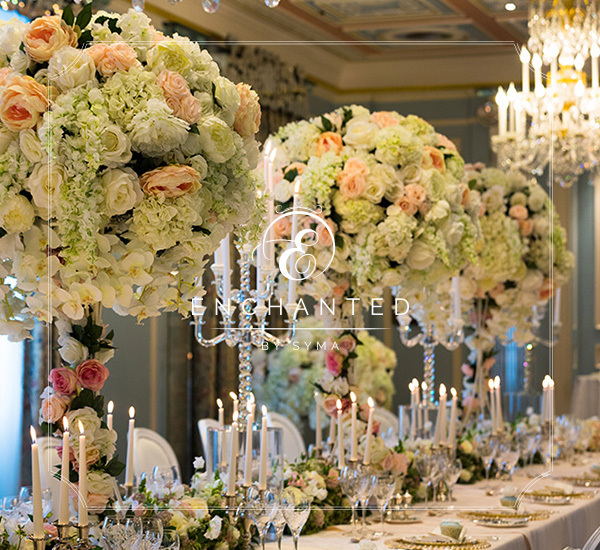 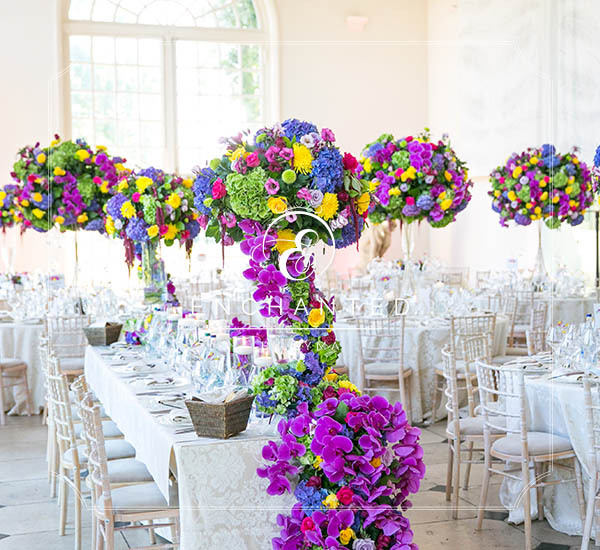 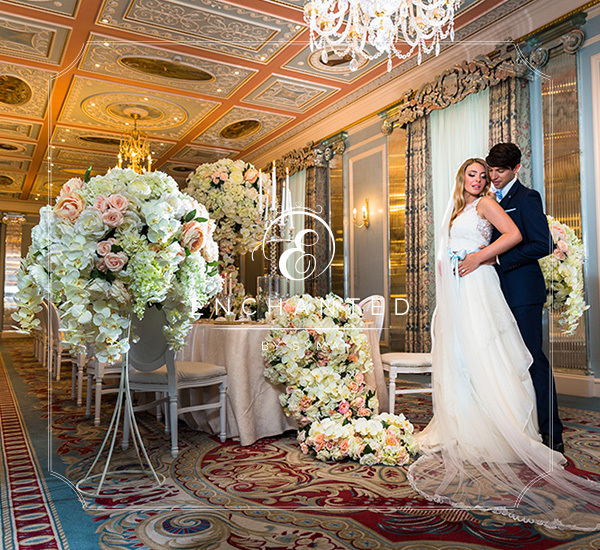 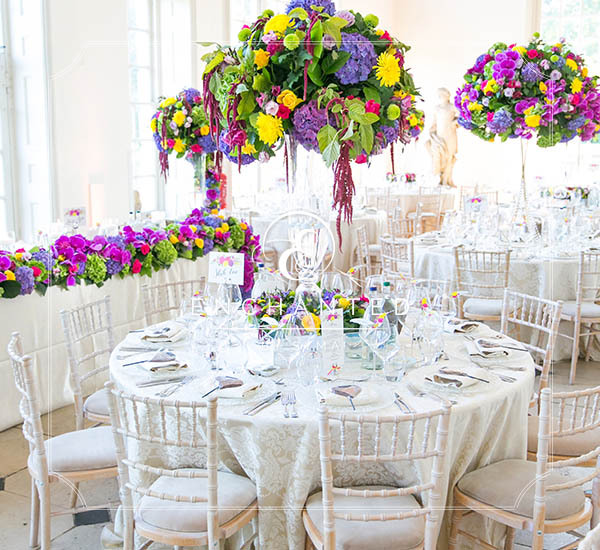 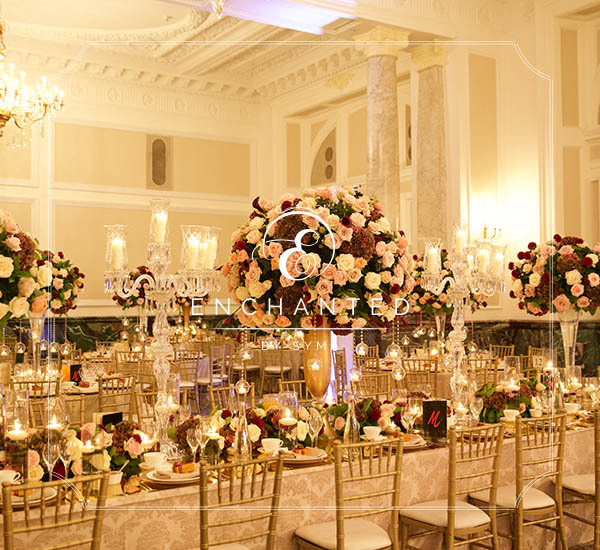 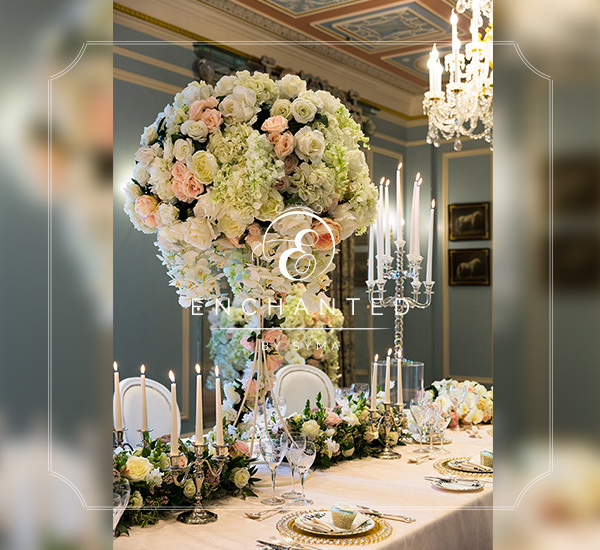 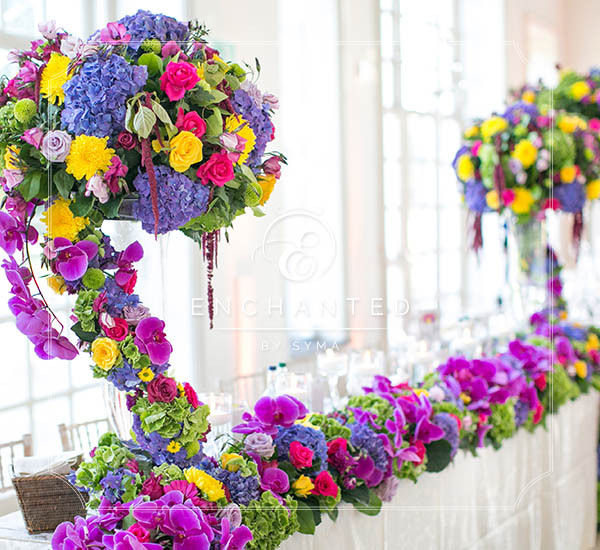 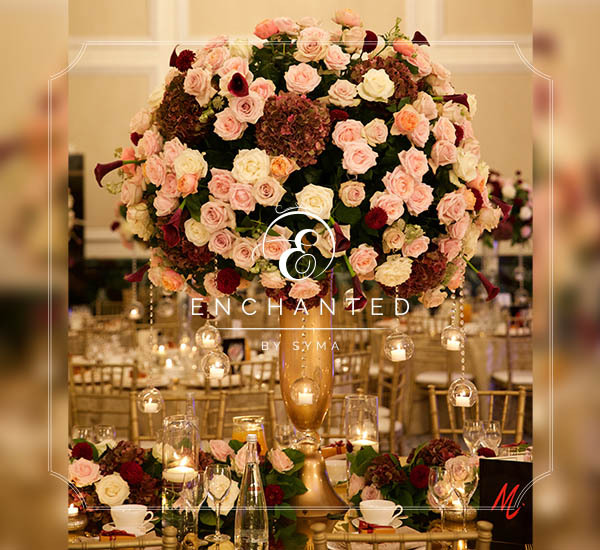 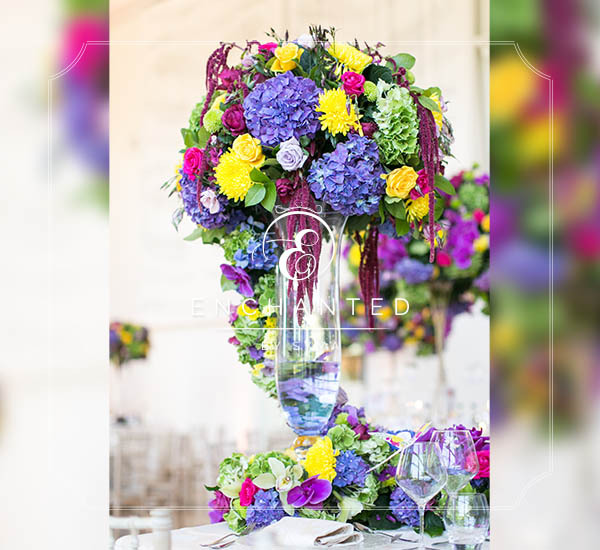 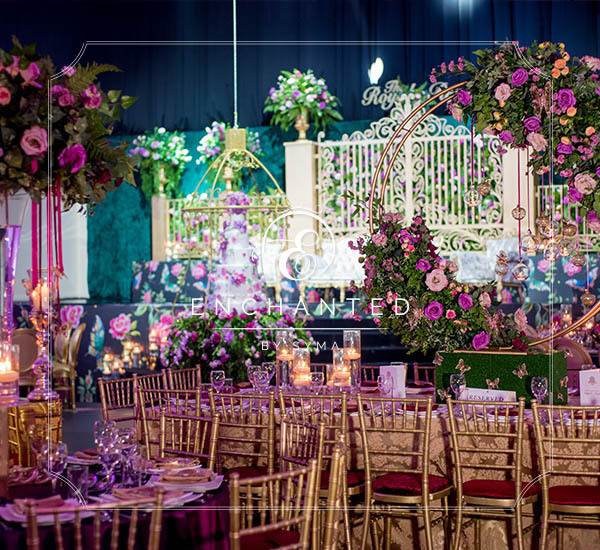 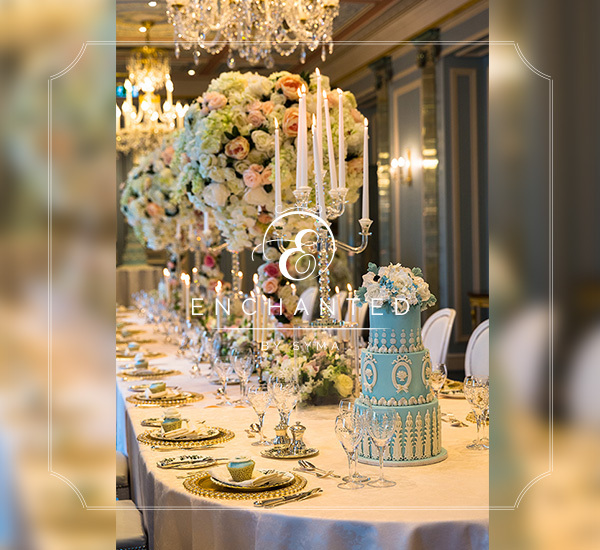 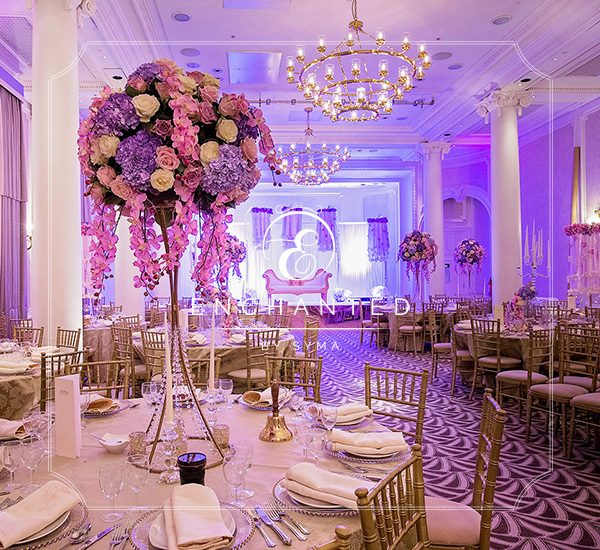 If you love flowers, enter into this grand wedding with ultimate ideas. 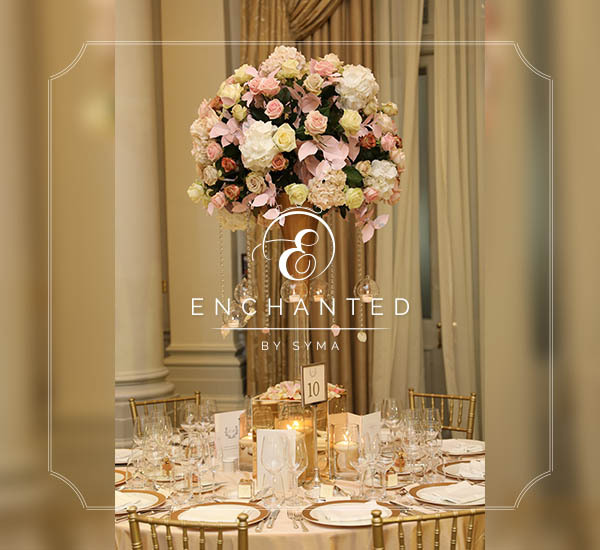 An English inspired wedding look, with glorious white & blush blooms, layered with luxury choices of flowers and accessories. 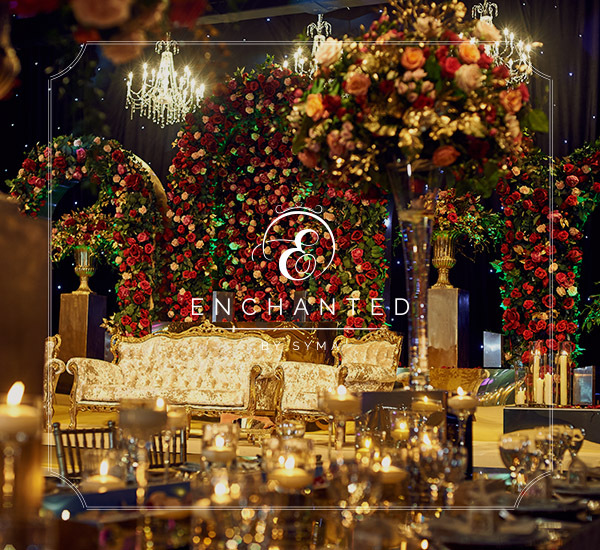 Fall in love with this design & make your wedding a fairytale. 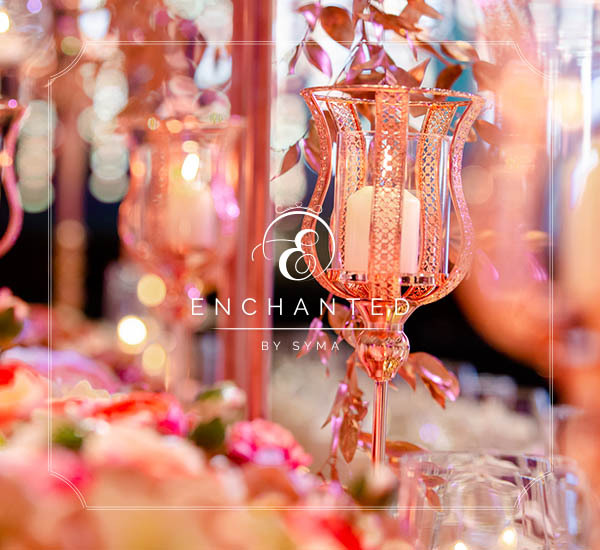 For all those pretty girly brides who can stare at anything blush pink for hours on end, take a step into one of our sweetest colours to be in awe of! 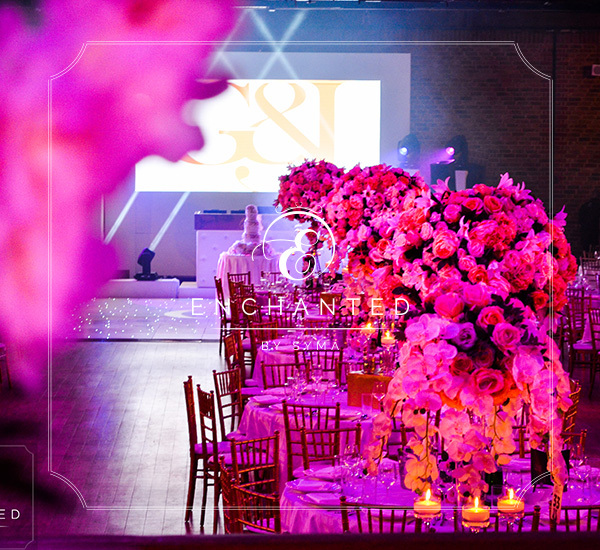 When perfection has no limits, you can create anything. 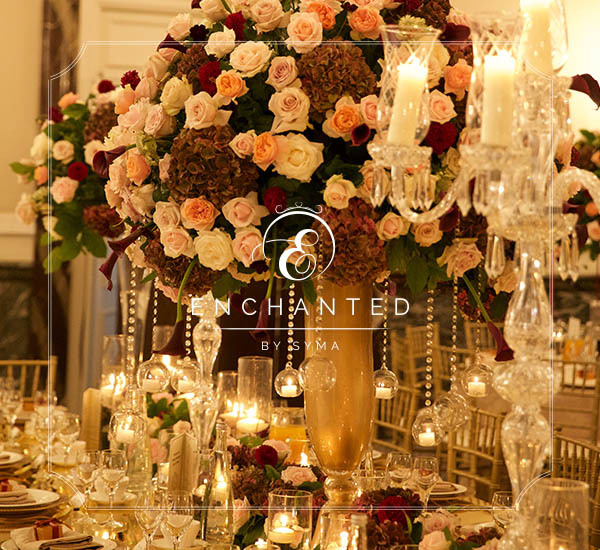 This look is divine, lush & opulent. 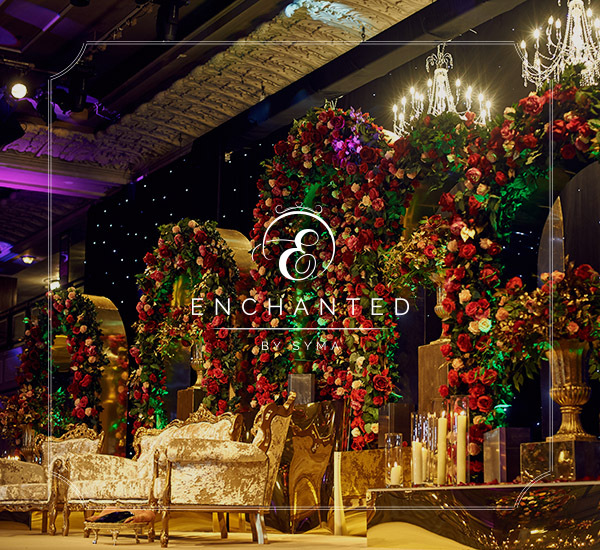 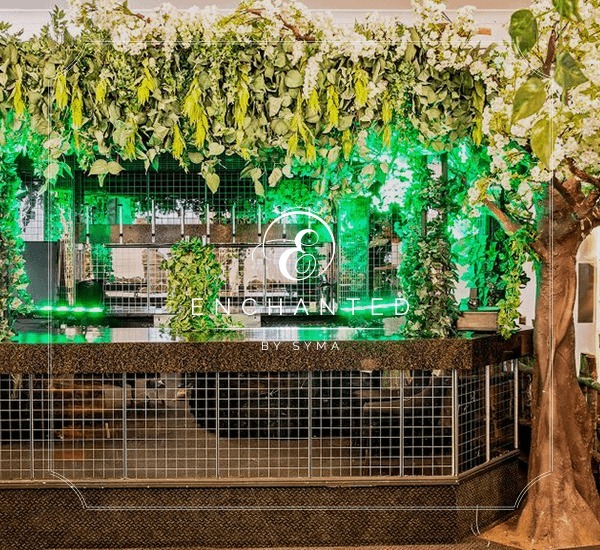 If your looking for the wow factor, then enter this world. 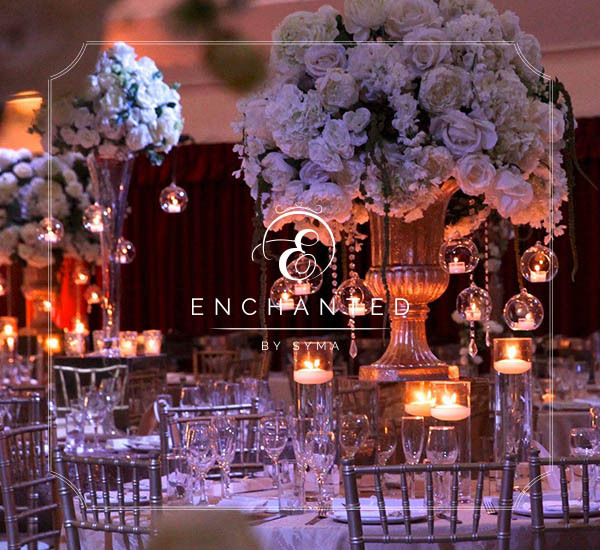 All white theme wedding with crystals and candles any brides dream. 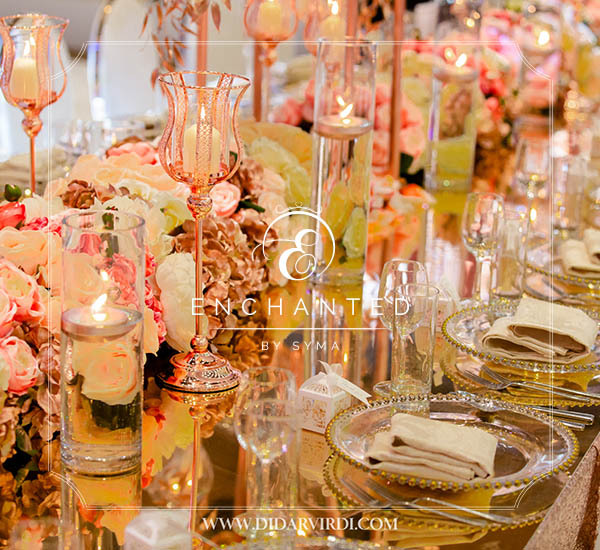 This collection is classy & fabulous! 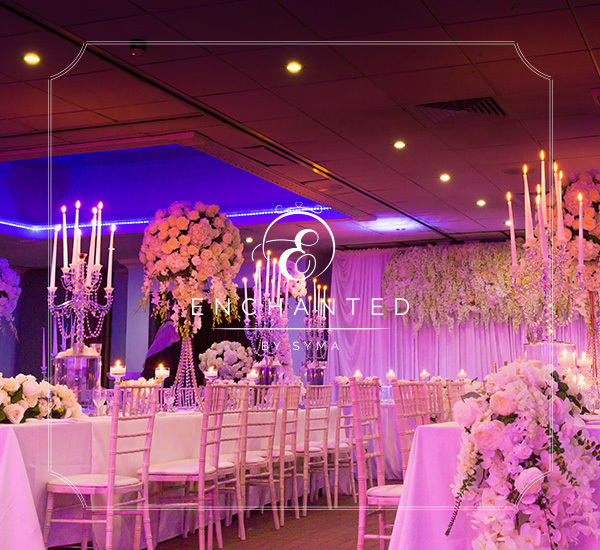 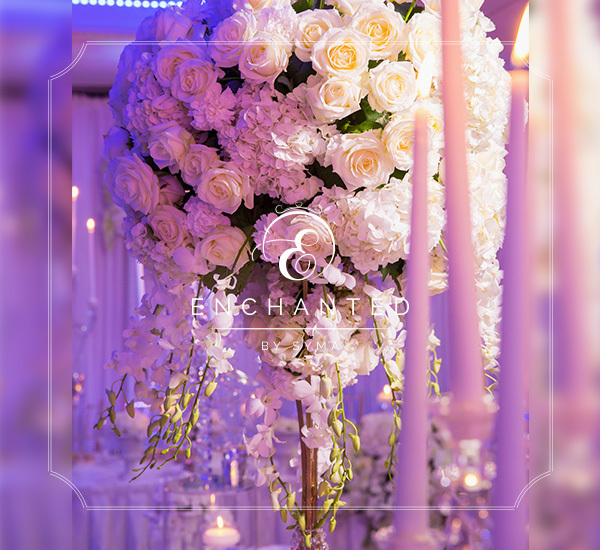 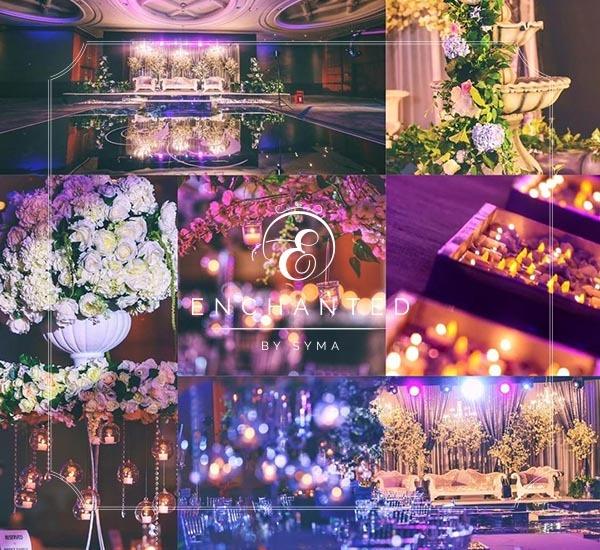 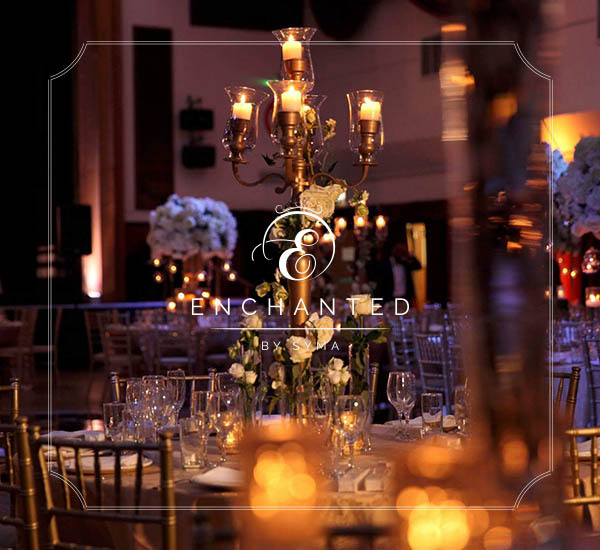 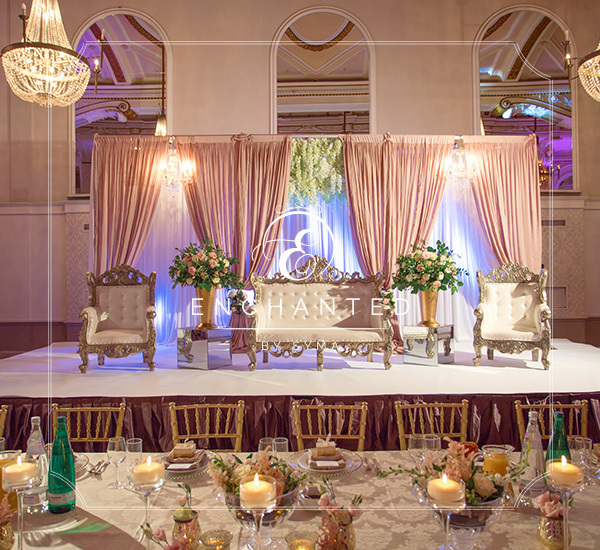 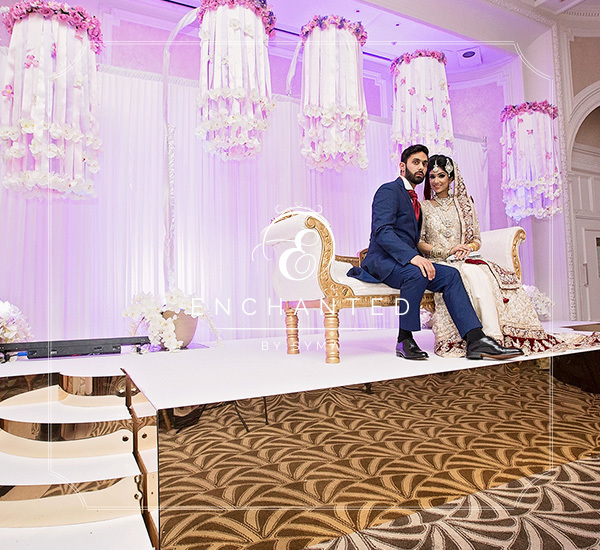 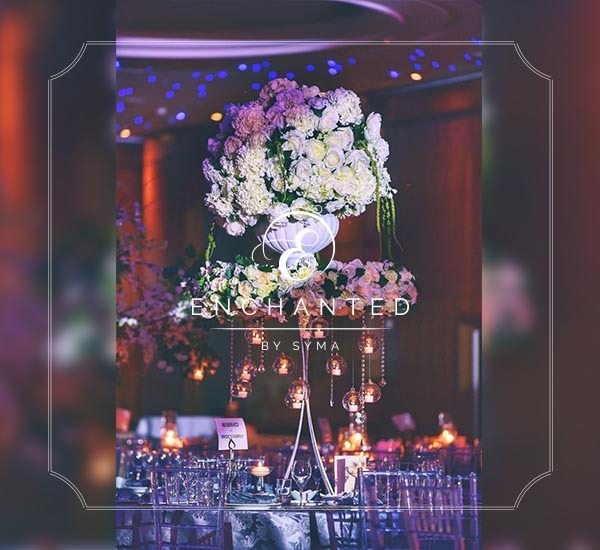 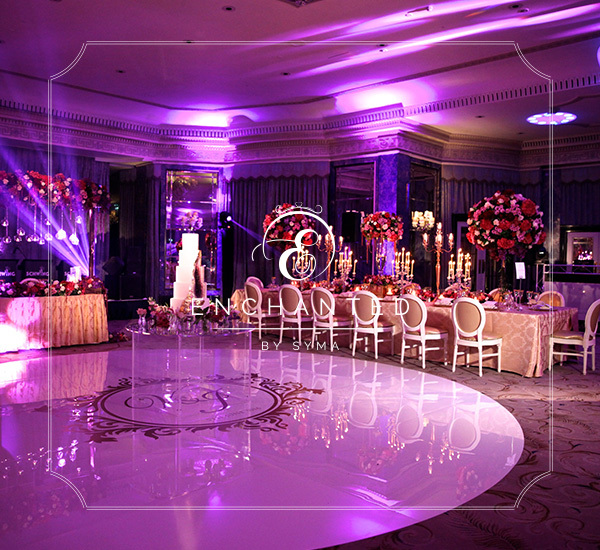 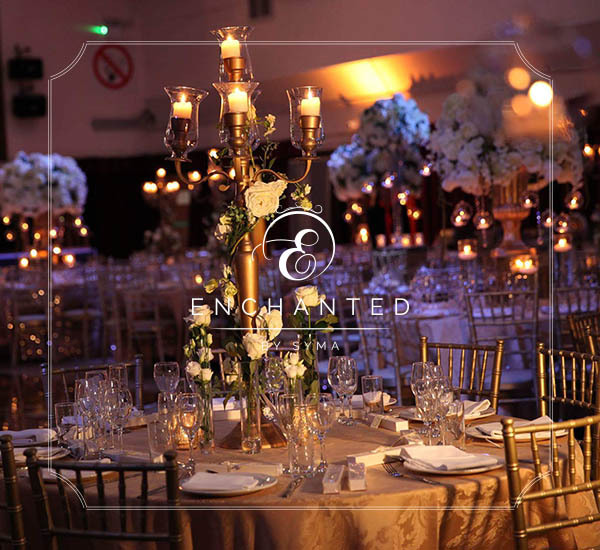 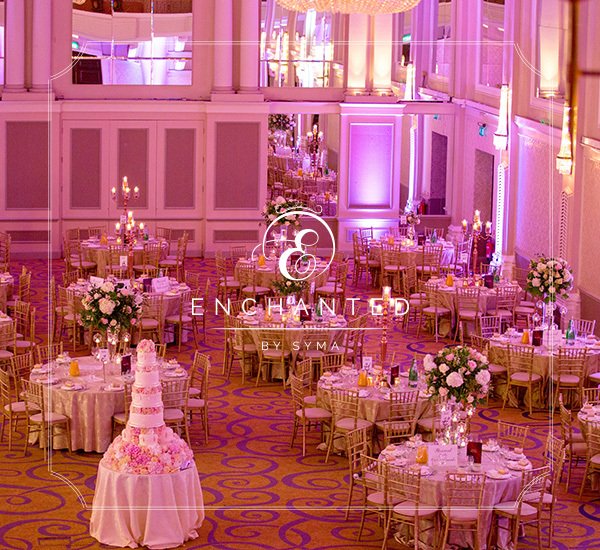 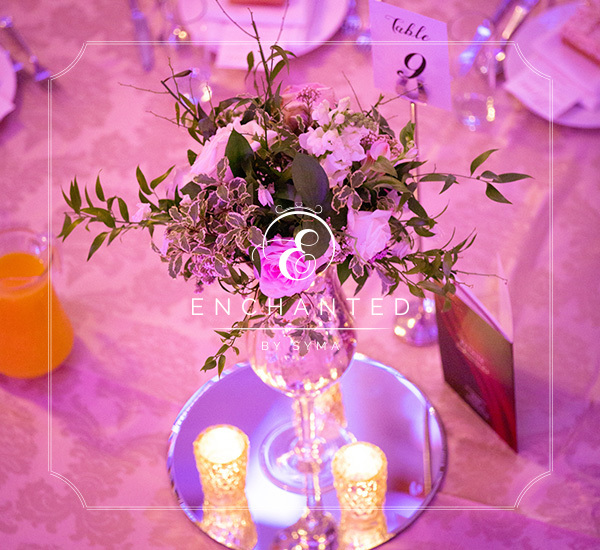 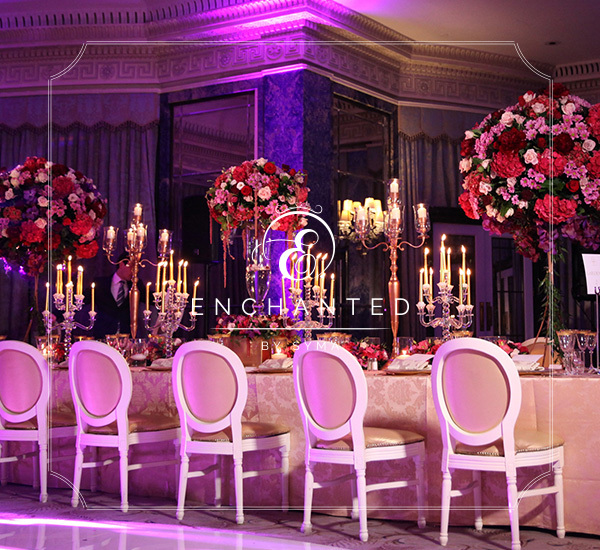 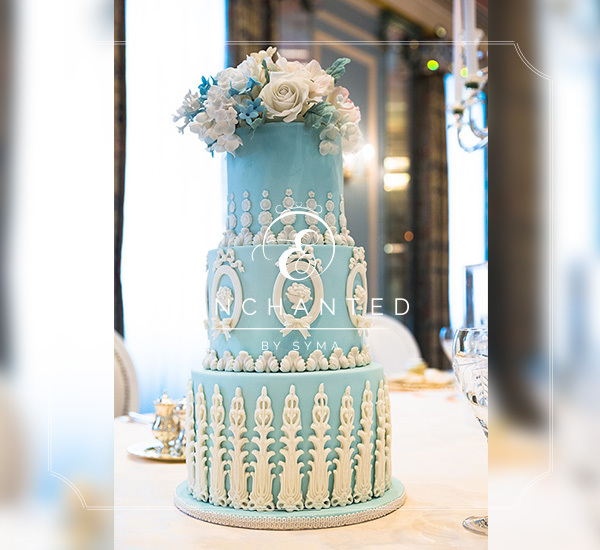 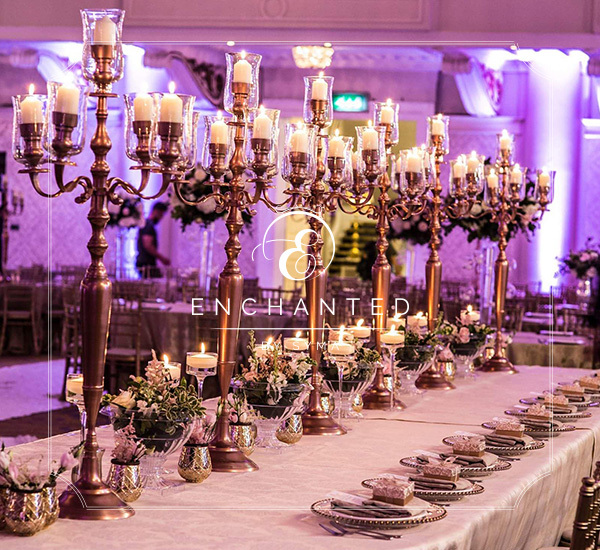 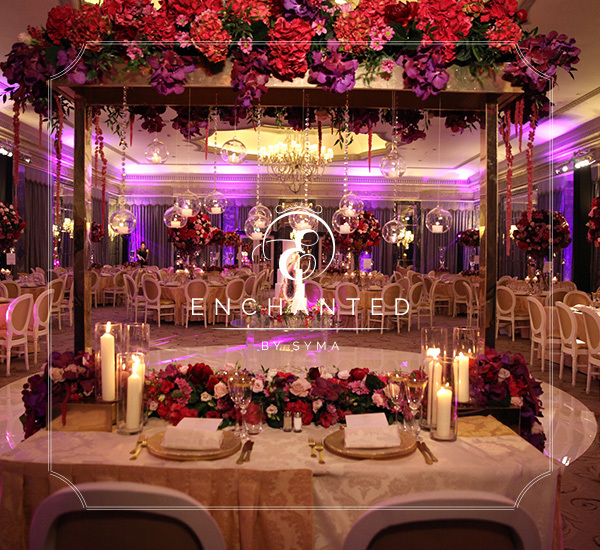 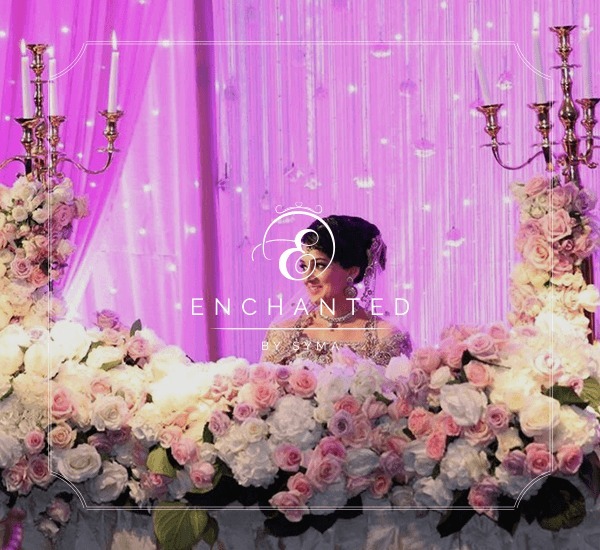 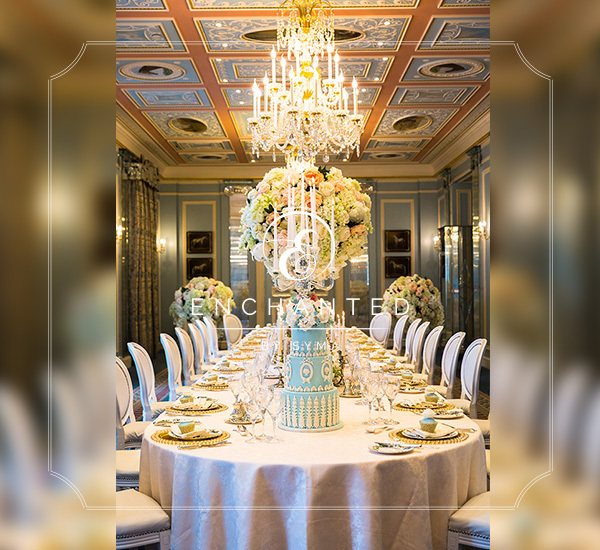 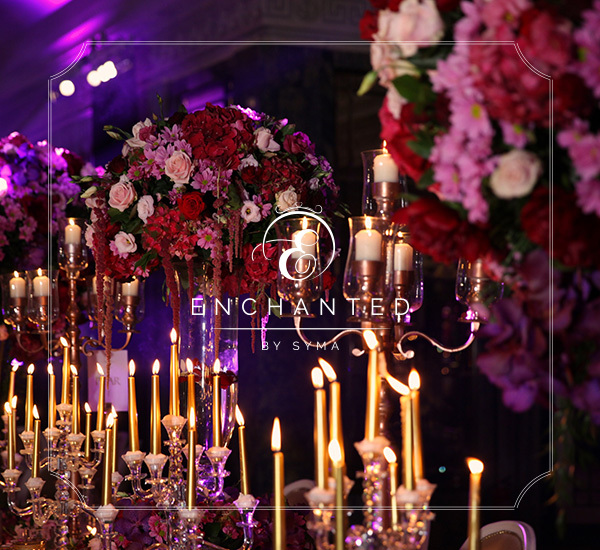 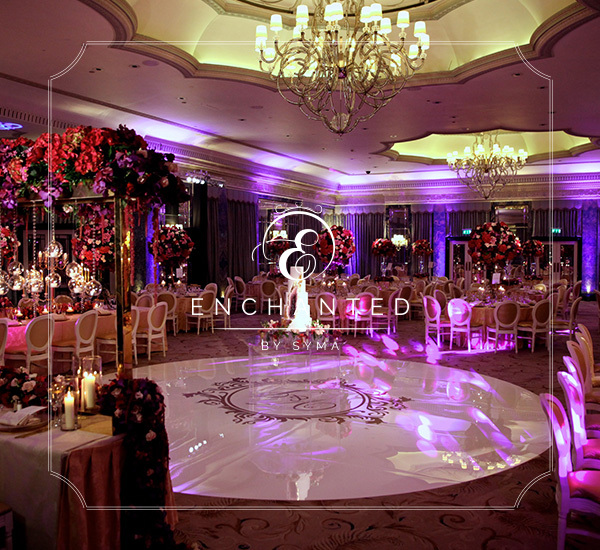 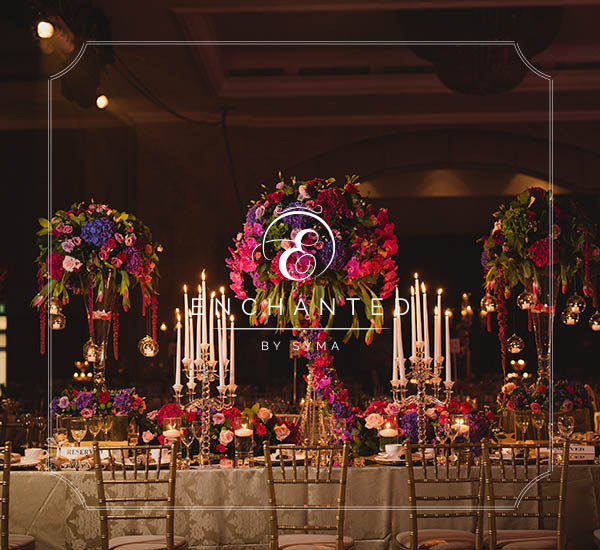 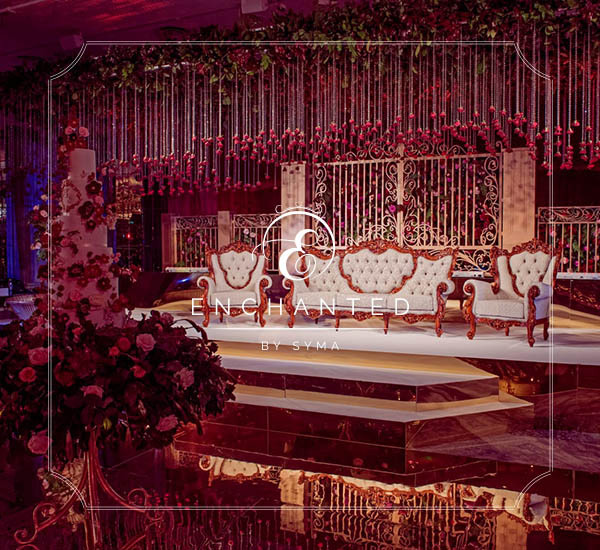 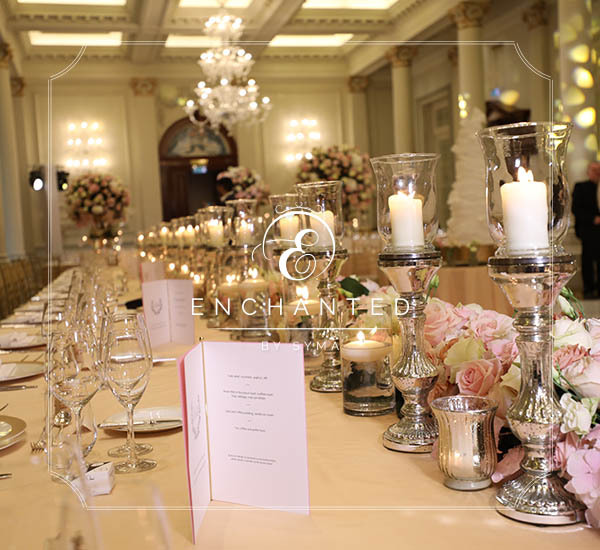 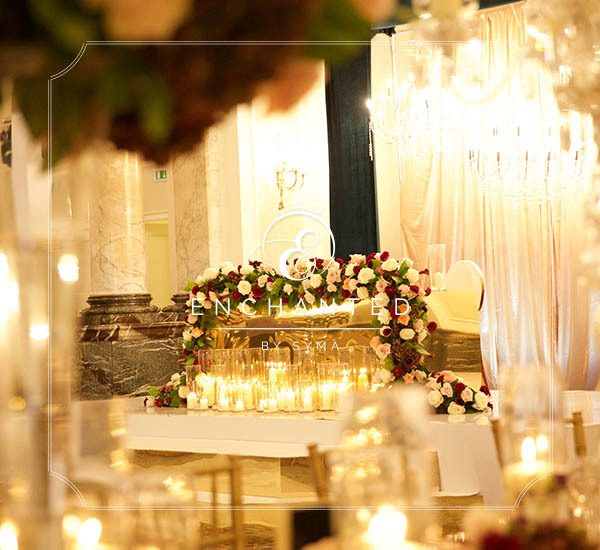 This theme was created with delicate ribbons & flowers, completed with tea lights creating elegance & romance.